DTG is a merging of competences and knowledge with global international footprint. DT Group promote the sharing of technologies trough company’s different brands with the aim to create a flexible business model, enhance product performances and competiveness and provide best solution to our customer. DTG is a young organization but our roots are strong, our brands are recognized in the market since several decades! Foundation of Raco, manufacturer of tubing components and assemblies for industrial and automotive applications. 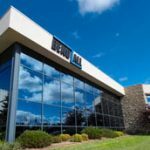 Bend All started manufacturing automotive components, the company has been founded in 1976 as tooling company by German immigrant tool makers in Ontario. 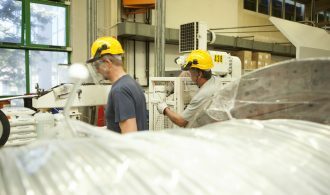 Raco launches operation in Hungary and Brazil. Mr. Berti and Mr. Zonta join the company through a management buy in. 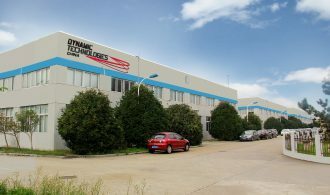 Acquisition of Senstar in China and renaming to Dynamic Technologies China. 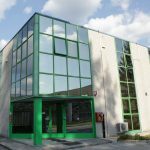 Expansion by acquisition of Friulpress in Italy. 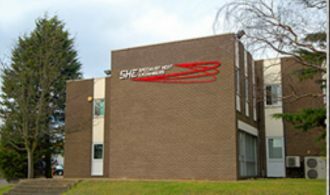 Acquisition of SHE in the UK and OML locations in Turin and Poland. 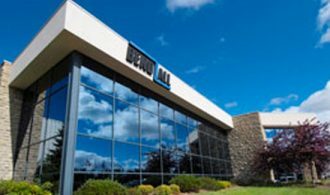 Launched North American operations by acquisition of Bend All Automotive Inc. in Canada. Mexican plant was opened in San Luis Potosi replacing Brazil operations. Capital Expenditure Program ahead of plan. 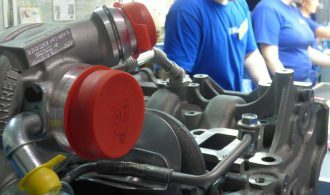 Ramp–up of new OEM programs ( GM Powertrain and VW Group). 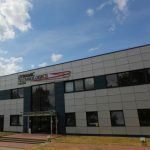 Successful SOP of Power Train parts in EU – DT Poland. Launch & SOP of new production plant in DT China for PT application. Bend All Canada new ED&D laboratory launch, the new lab includes vibration shaker and all necessary devices for full “in-house” product validation. 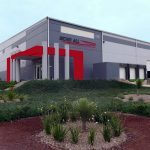 Bend All Mexico new OE plant start operation. The BAX plant 2 covers a land area of 7500 square meter. 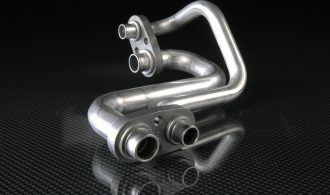 DTG manufacture a large range of tubing for automotive application. 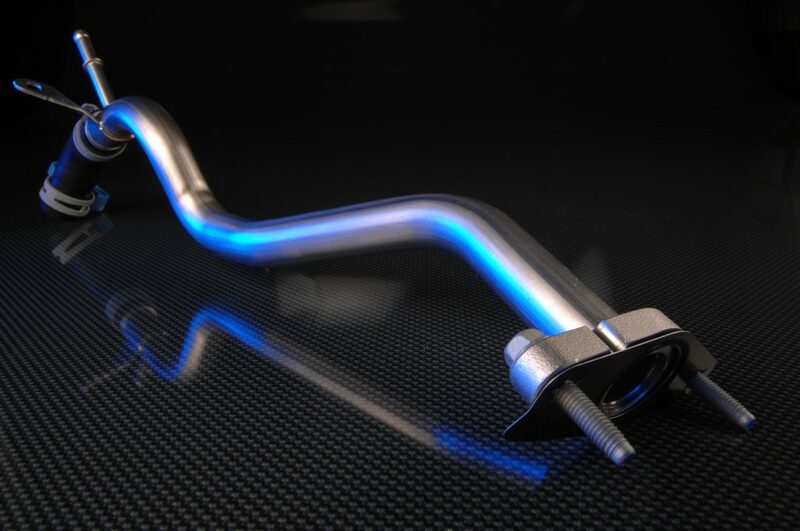 We do our own aluminium tubing and we include special products like heat exchanges, thermostatic valves and aluminium machined blocks. 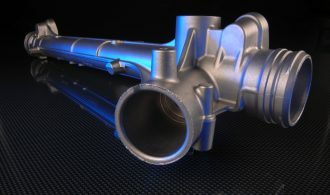 Completes our portfolio the casting division, for automotive and industrial applications, and the heavy duty heat exchanges division, for oil & gas and power plant applications. Competence Centre is located in Bend All Canada and it supervise the development in all active countries. 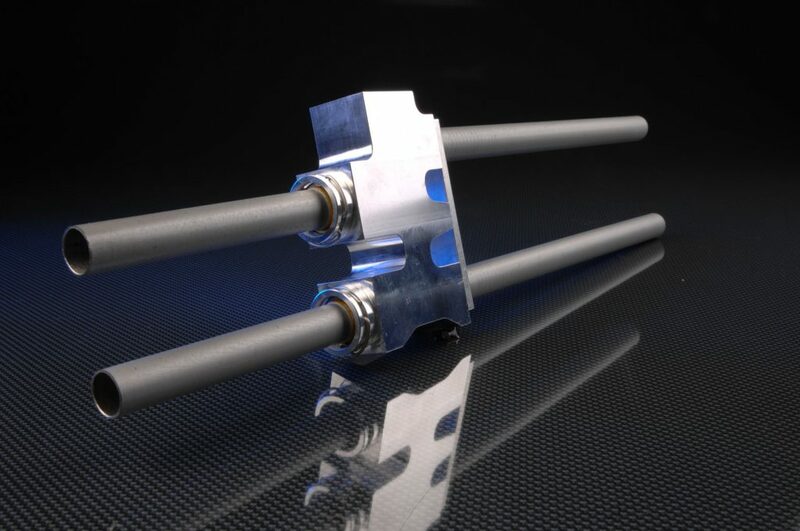 We design and develop tube routing, hose crimping and thermostatic valves. 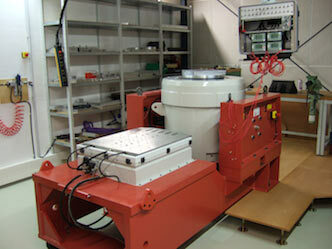 Fatigue, reliability & vibration test are performed in our internal laboratory. Product lines includes TOC, EOC, PS Return and PSOC application. 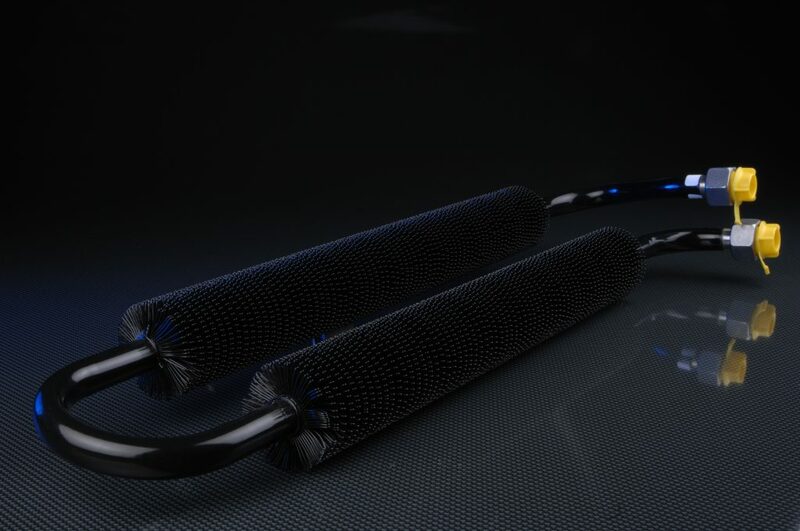 Aluminum and carbon steel Galfan coated tubes. 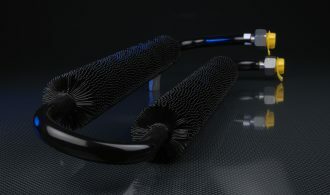 Crimped hoses, formed flanges and quick connectors. Thermostatic valves with embedded tube connections. First fill open flow system. Patented wax motor. 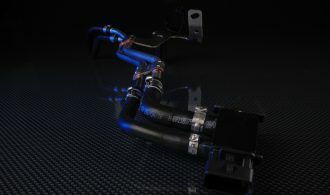 Complete cooling loops including heat exchanger and valves. 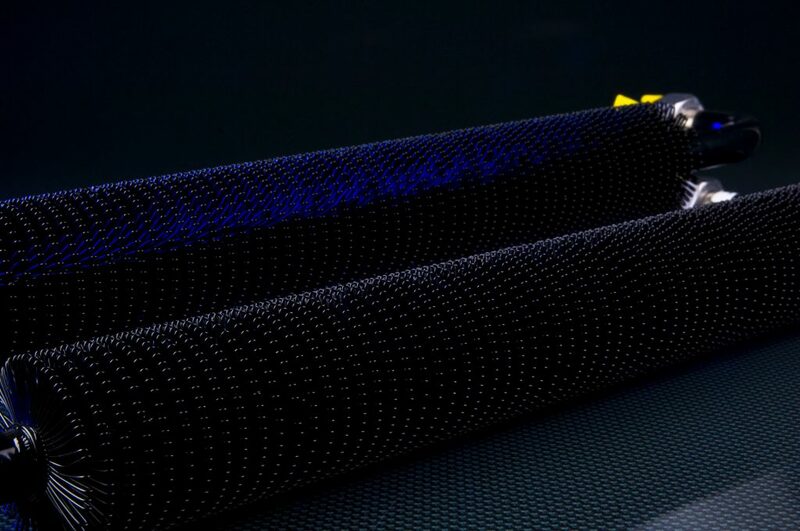 The product line cover all low and medium pressure application for oil transport. Metal tubing is based on aluminum drawn tubes and Galfan coated welded steel tubes. 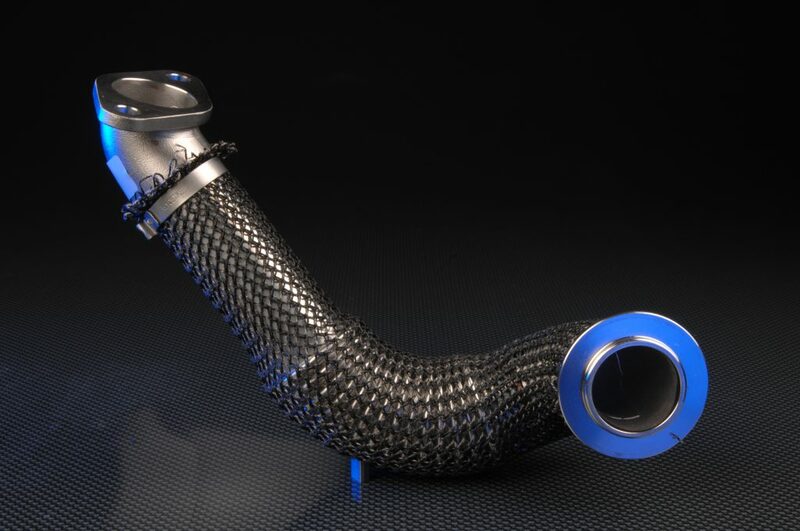 Crimped and assembled hoses in CPE and AEM compound. 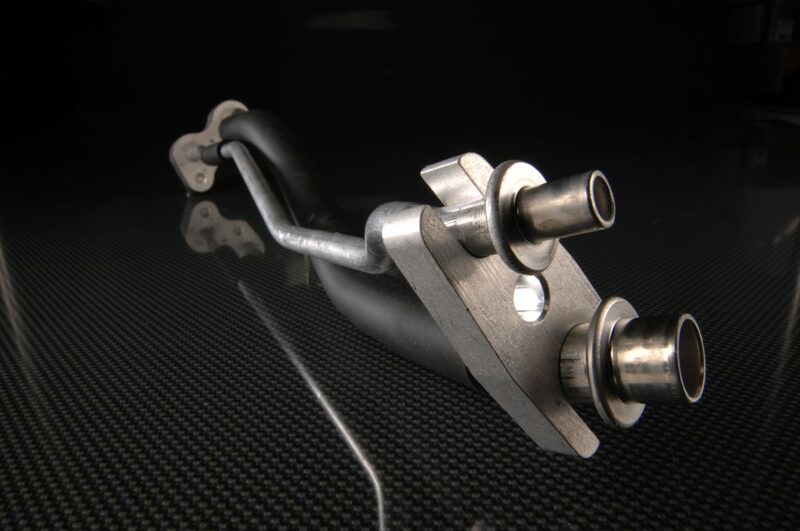 Several different tailor-made components available (brackets, flanges, clips, gaskets). Suitable application for TOC, EOC and PS available. In house development for thermostatic bypass valves with controlled wax motor to manage operation temperature and first fill safety device. 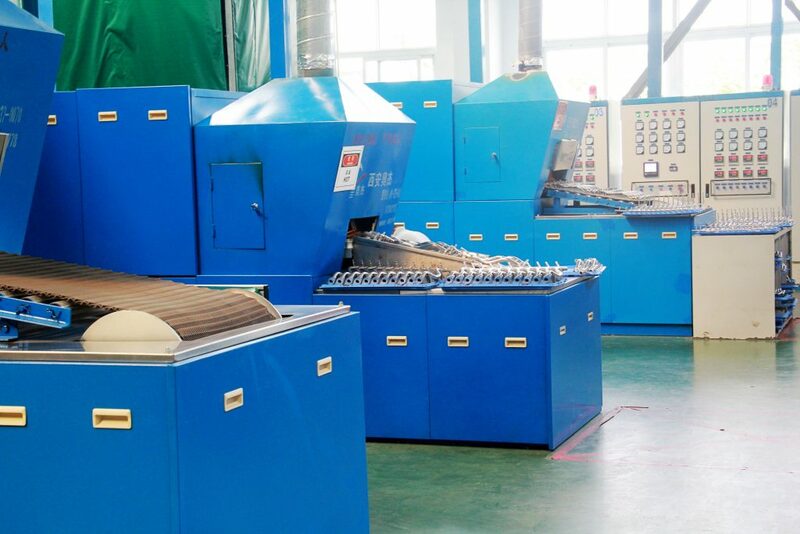 Full automatic forming, crimping and bending process. 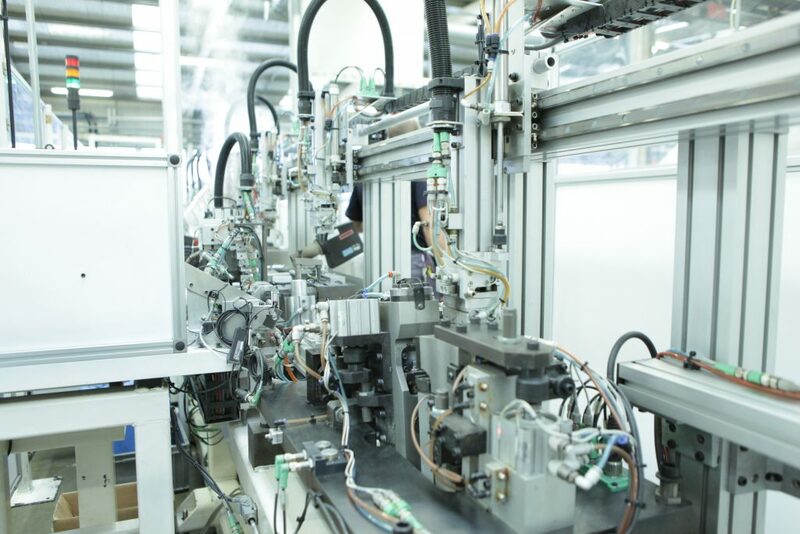 In house development of process automation, power benders, crimping and end-forming machine. Competence Centre is located in Dynamic Technologies Poland and Bend All Canada. 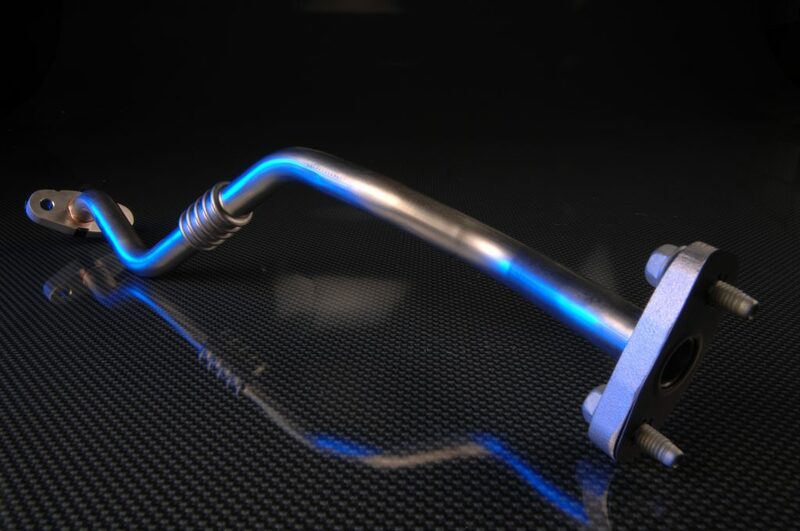 We design and develop tube routing, tube forming, hose crimping, welding and brazing processes. 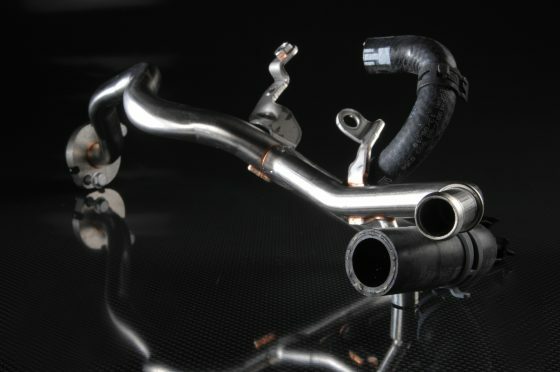 Product lines includes turbo oil lubricant and coolant tubes, engine coolant lines, corrugated tubes and EGR tubes. 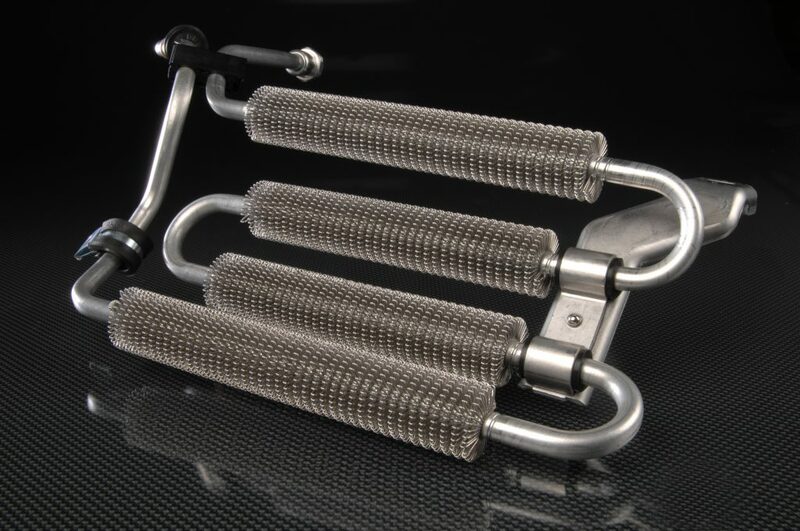 Aluminum, stainless steel and carbon steel coated tubes. 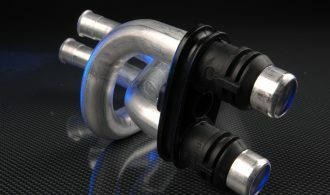 Crimped & clamped hoses, formed flanges. 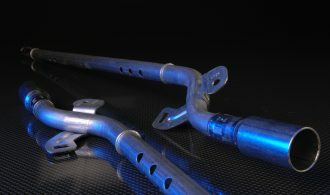 EGR & Oil corrugated tubes. 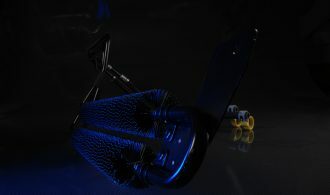 Multiple bellows design & dedicated components. 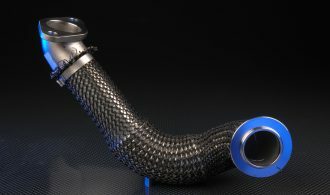 Turbo feed & drain line, stainless steel and carbon steel coated. PTFE hoses wire and braided. 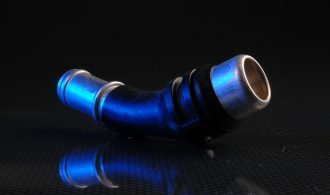 Formed PTFE hoses. 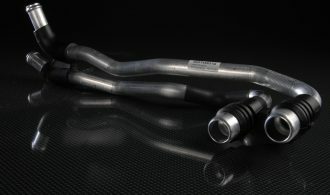 The product line covers all application for oil and coolant management for engine mounted tubes. 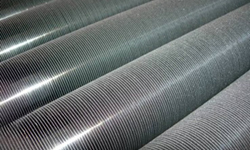 Metal tubing is based on stainless steel , aluminum drawn tubes and ZnNi coated welded steel tubes. 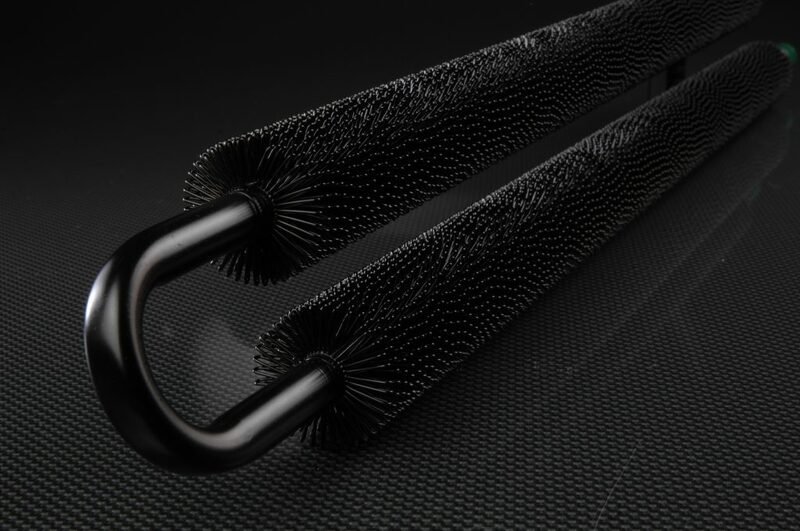 Crimped and assembled hoses in PFTE, EPDM and VMQ compound. 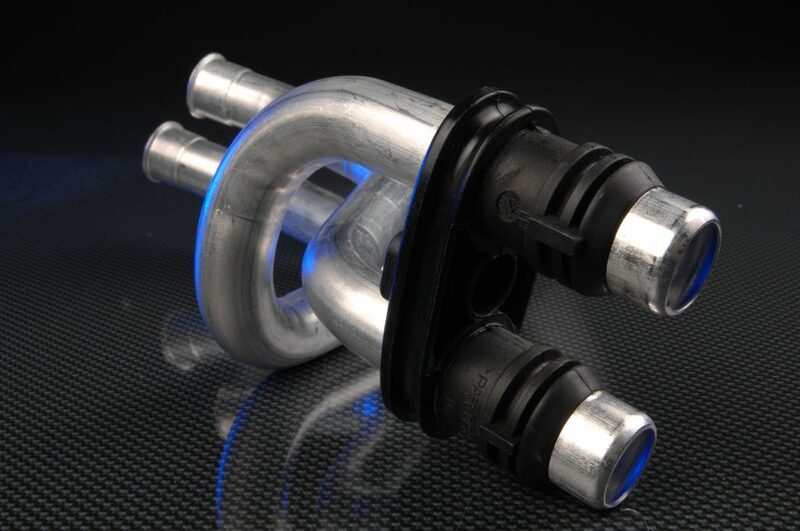 Several different tailor-made components available (brackets, flanges, clips, gaskets) Suitable application for EGR and turbo drain corrugated tubes. 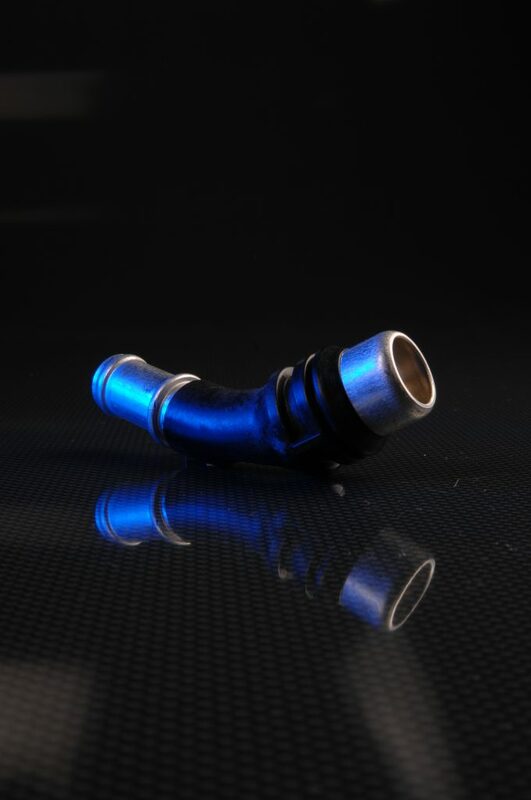 Formed PTFE/GF+AR hoses for oil and coolant high temperature application. 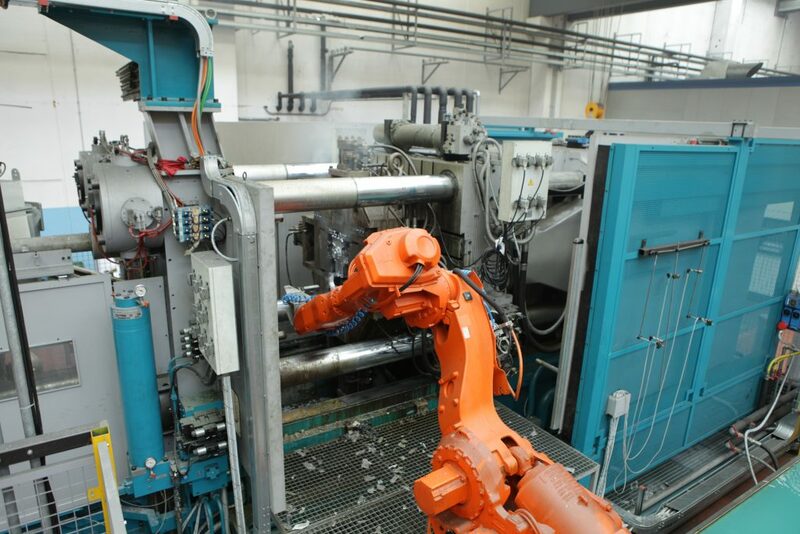 Full automatic forming, crimping and bending process. In house development of process automation, welding and brazing processes, power benders, crimping and end-forming machine. 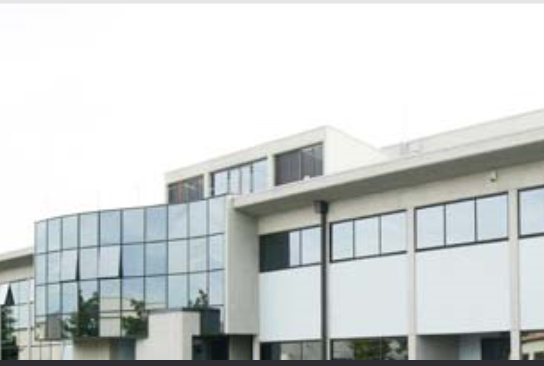 Competence Centre is located in Dynamic Technologies Italy. We design and develop tube routing, tube forming, welding, plastic co-molding and brazing processes. Special machined flanges development & manufacturing. 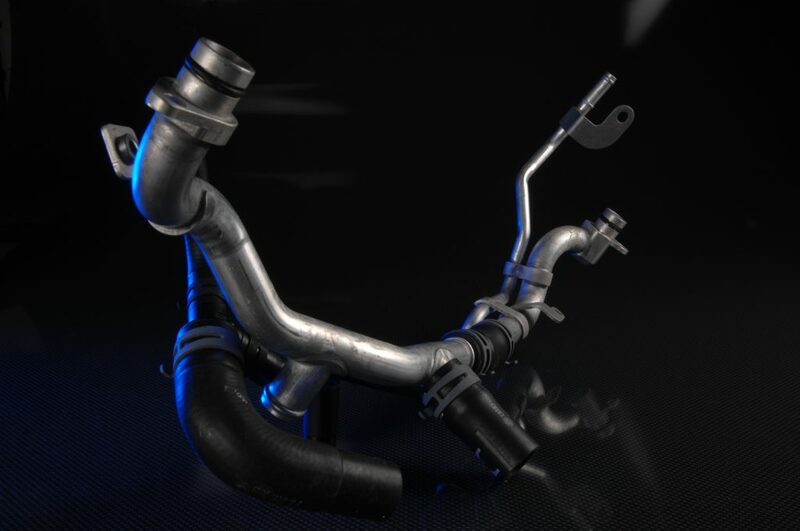 Product lines includes evaporator refrigerant lines, condenser refrigerant lines and heather lines. 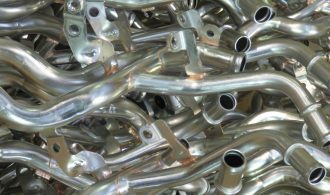 Aluminum single & bundle lines with formed flanges and tight routing. Co-moulding of fittings & brackets. 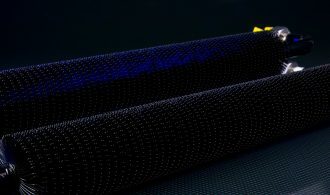 Complex shape single & bundle tubes. 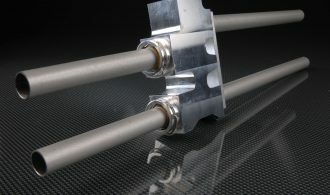 Formed & Brazed solution, single and bundle tubes. 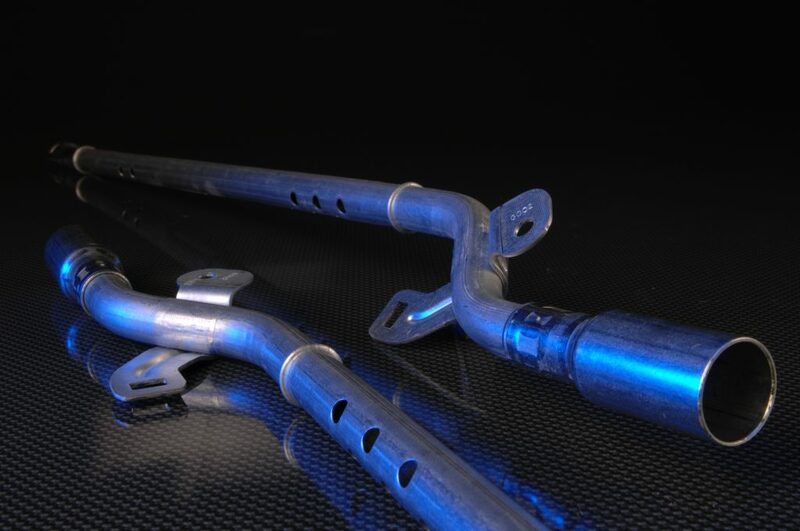 The product line covers all applications for HVAC aluminum tubing. Several complex flanges cold formed on tubes or brazed. 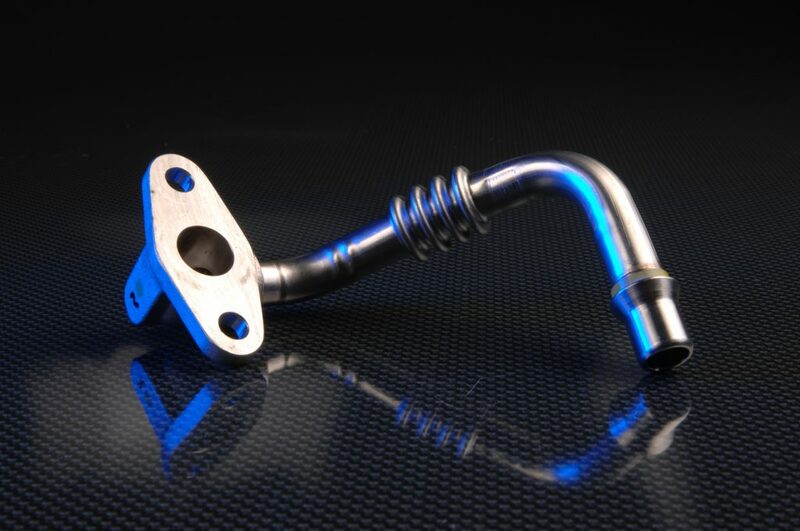 Tight routing and plastic co-moulded fittings & brackets. DTG is a worldwide leader of this particular commodities. 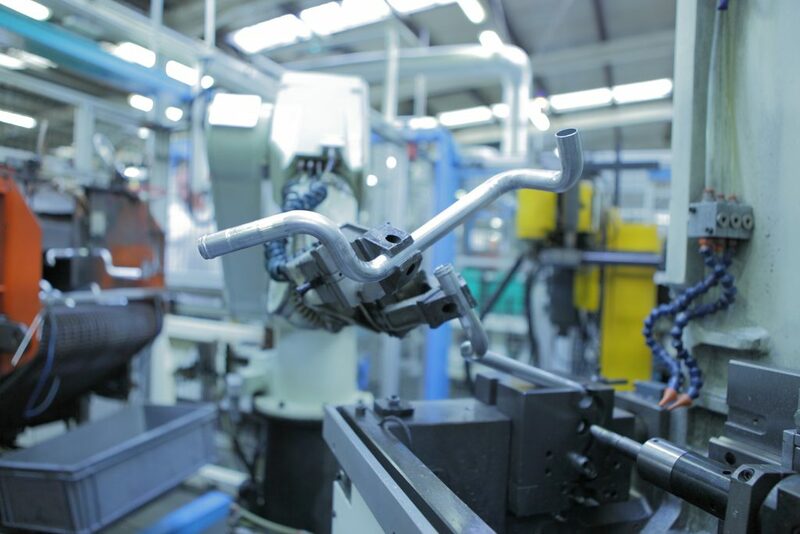 Full automatic forming, crimping and bending process. 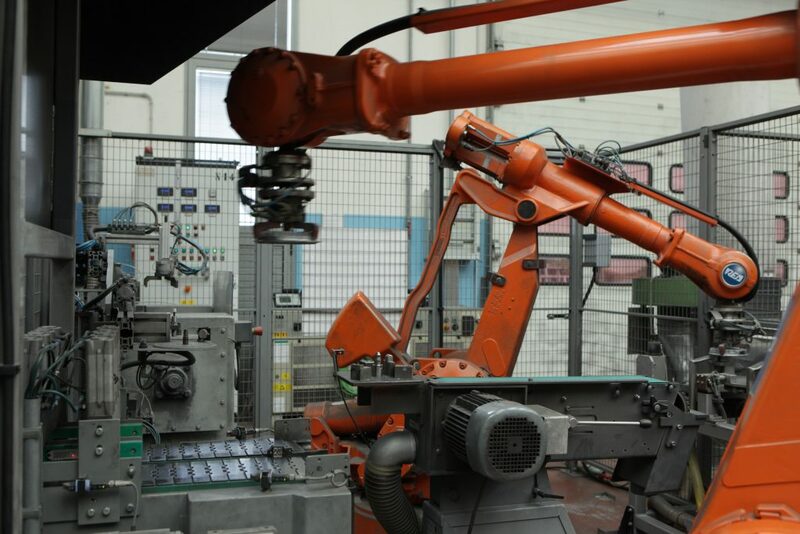 In house development of process automation, power benders, crimping and end-forming machine. 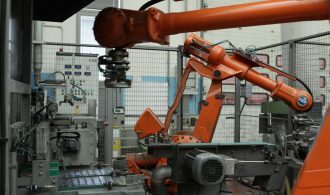 Full automatic forming and bending process. In house development of process automation, welding and brazing processes, power benders, crimping and end-forming machine. 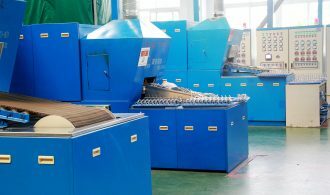 In house development and manufacturing of moulded elements and their tools. 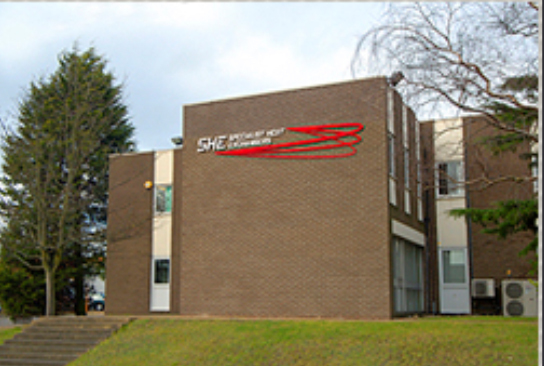 Competence Centre is located in Specialist Heat Exchanger UK (SHE). 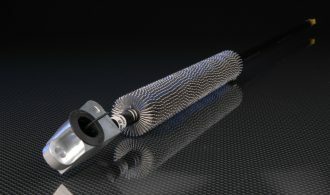 We design and develop wire wound coolers based on our unique technology. Thermal validation and simulation are performed in our laboratory. 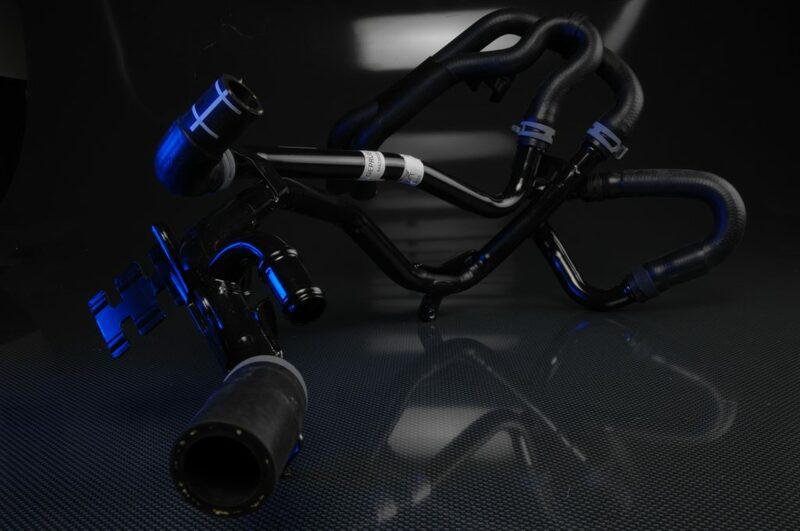 Product lines includes compressed air coolers, fuel cooler, power steering coolers, transmission oil cooler, coolant heaters. Heavy duty stainless steel cooler with copper fins, coated and painted. Braze-less connection to aluminum PA12 with aluminum wire wound fins. Assembled PSOC cooler on return line. 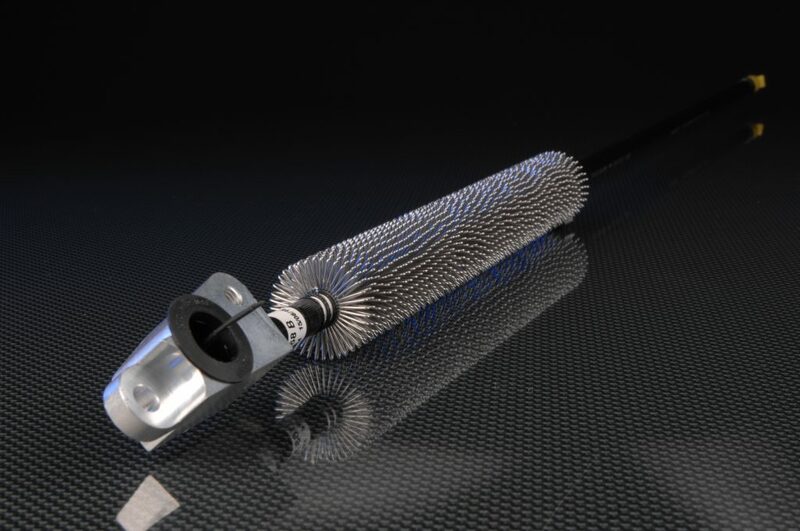 Our wire wound coolers are suitable for all medium heat rejection application for several different working fluids. Passenger car and heavy duty application available for truck and industrial application. 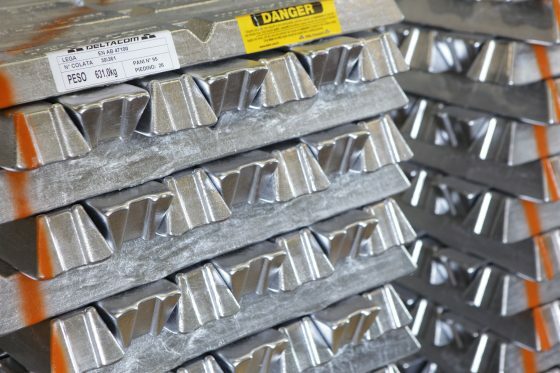 We manage aluminum, carbon steel and stainless steel tubes with aluminum or copper fins. 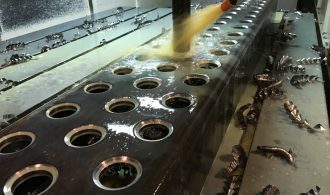 Coating, painting and anodized coolers for aesthetic and corrosion performances. In line coolers & stand alone solution. 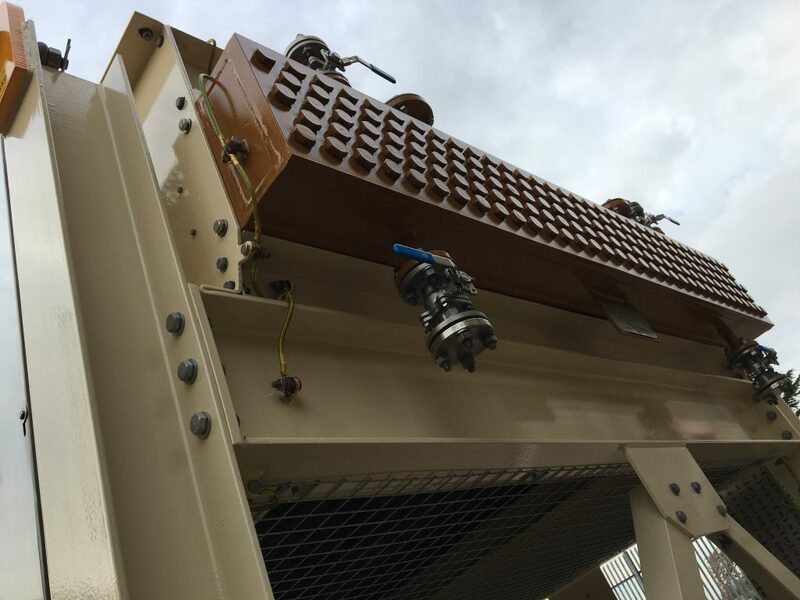 Industrial heat exchanger up to 12Tons application, force draugth and induced draugth cooler for general refinery. Winterized solution up to -42C. 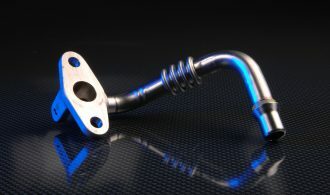 We design and develop a large portofolio of tube spigots & connectors for oil, coolant, gas and fuel application. 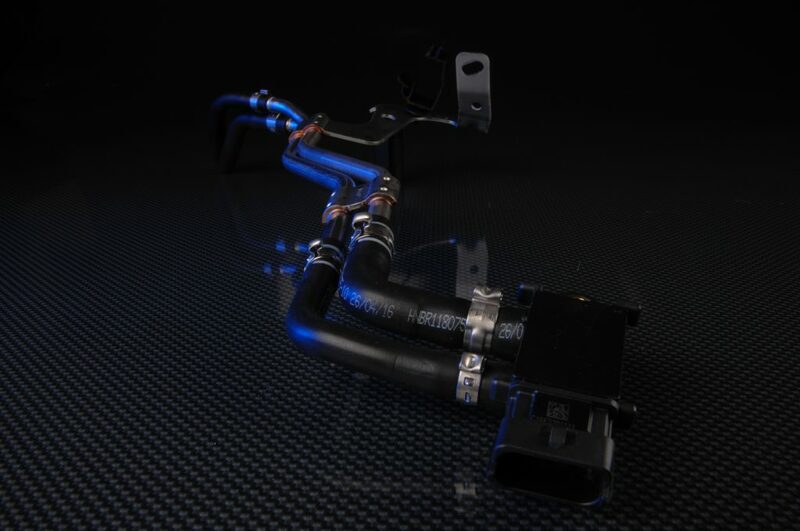 Special application are the air bag inflator tubes, the pressure-sensor line for exhaust circuit and oil suction lines. Tubolar brazeless frame are used for siting industry. 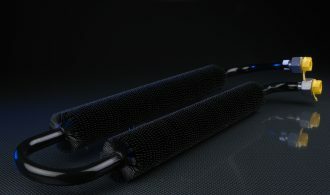 Inflator tubes with tight tolerances for perfect gas expansion. DPF sensor line, stainless steel, AEM & FKM hoses, pressure sensor. Spigot, straight, bent, formed. Aluminum, carbon steel and stainless steel. 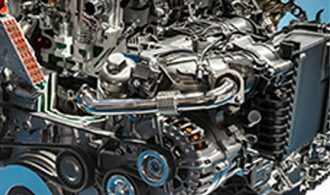 DTG manage all possible automotive tubes, from basic spigot to complex air-bag inflators and belt pre-tensioner with high safety standards. Used material aluminum, stainless steel, coated carbon steel. Special components available like sensors, filters, screen plates. 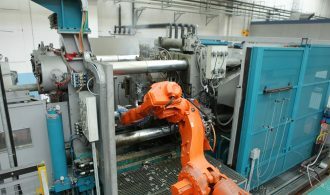 Full automatic forming and bending process. In house development of process automation, welding and brazing processes, power benders, punching, piercing and end-forming machine. 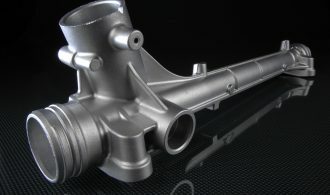 DTG FriulPress division has an unique competence in developing components die casted in aluminum and zinc alloys. 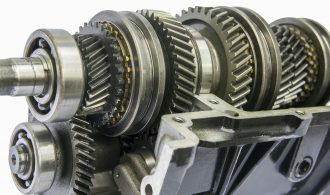 All possible application from automotive to industrial can be managed. Heat dissipater, small mechanism with & without machining, electronic industry. 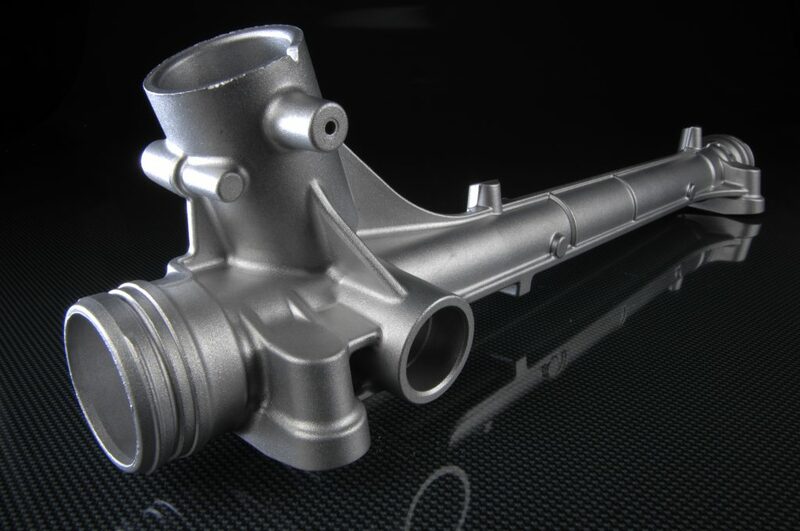 High precision, high reliability casting for automotive application. Agricultural engine body, ready to be assembled finished parts. 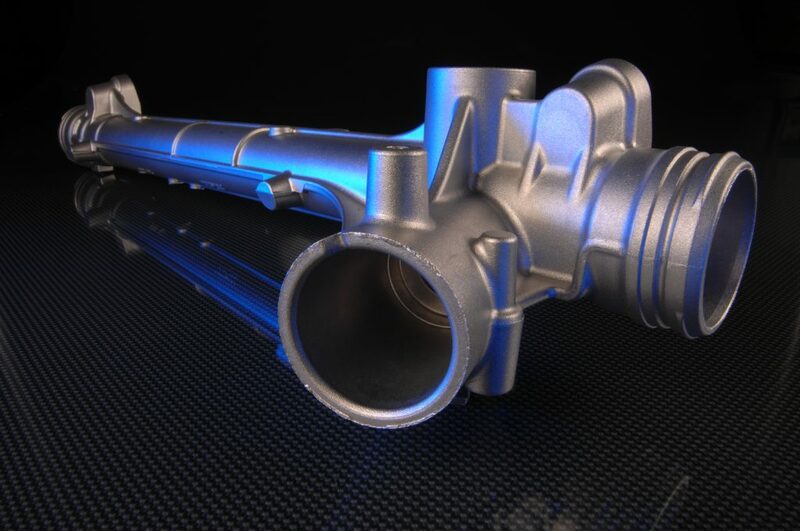 FriulPress develop and manufacture casted components with weigth ranges from 0,002 to 20Kg. 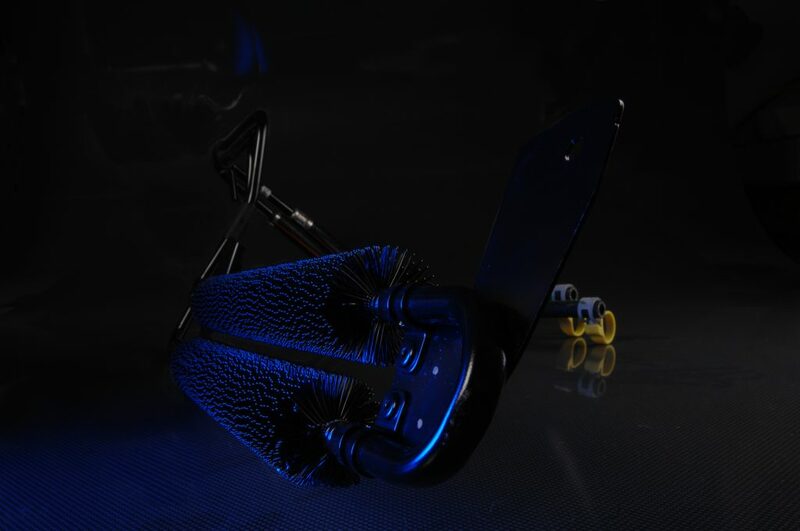 Our R&D team follow product development and manage casting and machining simulation CAD/CAE. 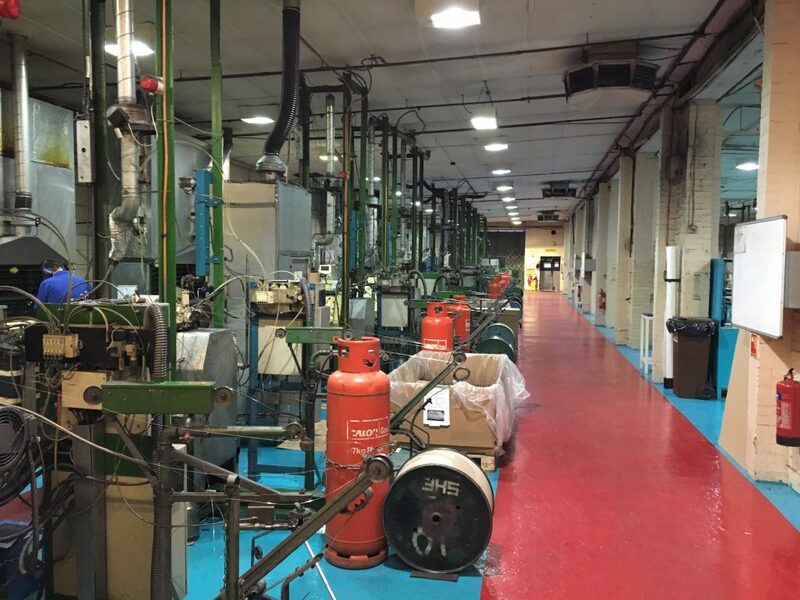 More than 30 presses with tonnage rising from 5T to 1650T. 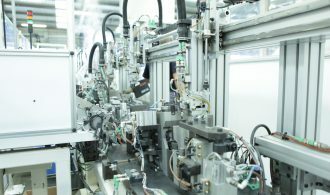 Fully automated system for component management, checking and machining. 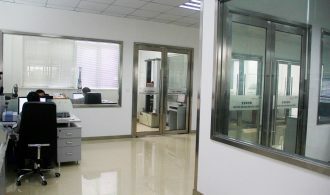 In house X-ray analysis and metallographic laboratory. Mould in-house development, manufacturing and maintenance. DTG is present in Europe, North America and China. 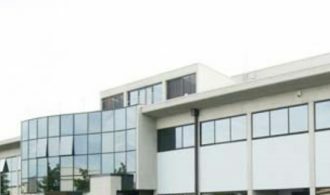 Headquarter is located in Italy. 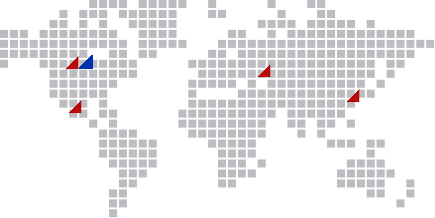 We have 11 production facilities: 3 plants in Italy, 1 Hungary, 1 Poland, 1 UK, 2 plants in Canada, 1 Mexico, 2 plant in China. 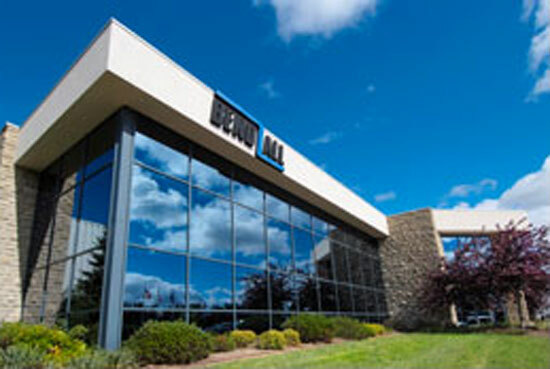 Bend All Automotive Incorporated (BAA) is a leading supplier of Automotive Components. 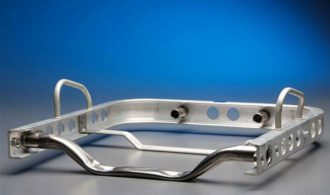 BAA supports customers worldwide with leading technology through product design, prototyping, product validation, tool building and a flexible streamlined manufacturing process. Tools, device & automation for all DT Group. 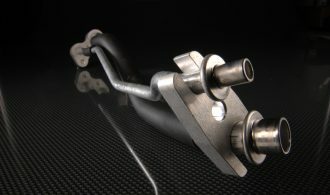 TOC – Transmission oil cooler lines. Very large production of aluminum and coated steel tubes for TOC, EOC, PS application. Heat Exchanger - Wire wound coolers for fluid to air heat exchange. 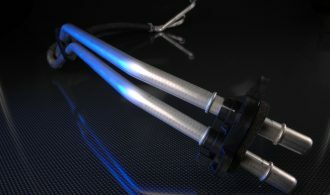 TOC – Thermostatic valves, in hose development & design. 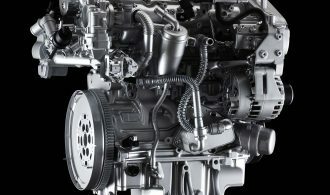 Suitable solution for engine and transmission oil management. 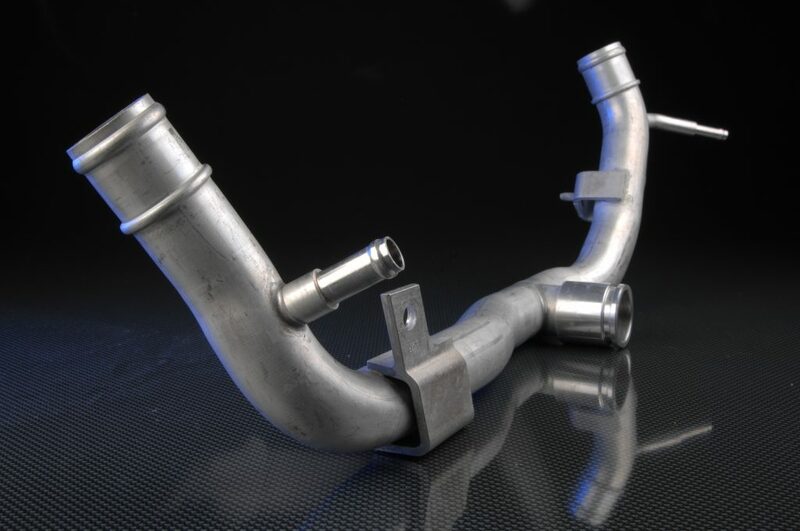 Automotive Tubing – various application of tube bending & forming for automotive application. 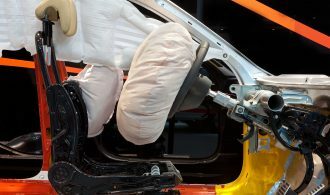 Special applications for seating industry. 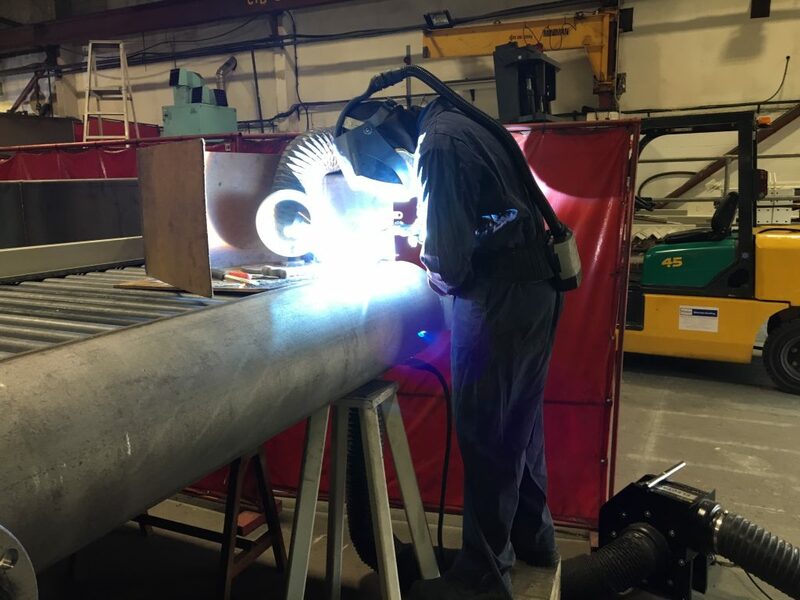 Our mission is to continue to improve and succeed through remaining a flexible and agile company that uses our entire team in unison towards producing components and equipment that are amongst the best in the world. The goals shall not compromise the health and safety of our team, the quality of our environment and the well being of the communities in which we are located. 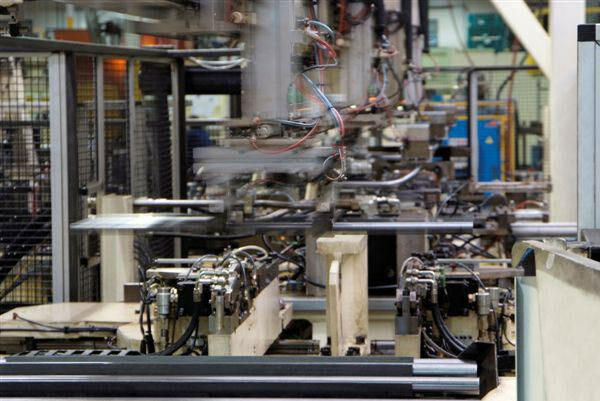 Our expertise span form standard forming techniques to entails the utilization of synchronized manufacturing systems that provide our customers with cost effective and mistake proof solutions. 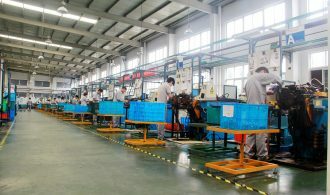 Bend All Tooling centre apply most modern technique for device and automatization development and supply state of the arts technologies to all DT Group. 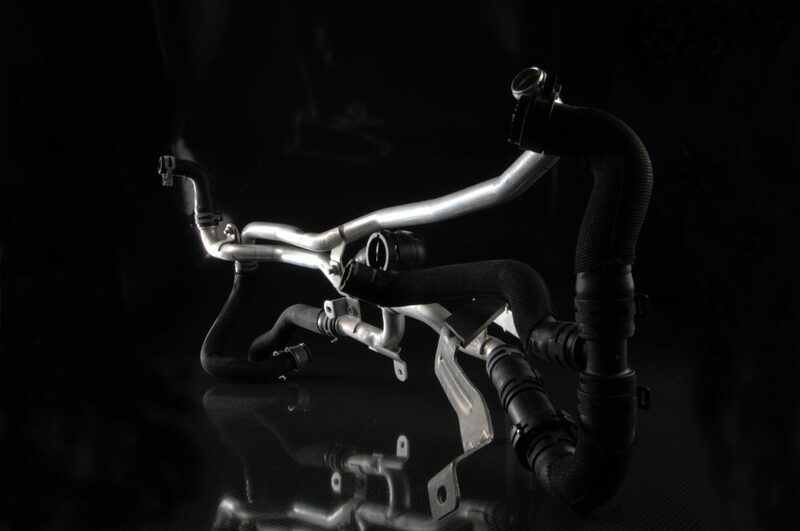 Dynamic Technologies Italy has a long lasting experience in fluid handling management and is a well recognized leading supplier for automotive aluminium tubing. 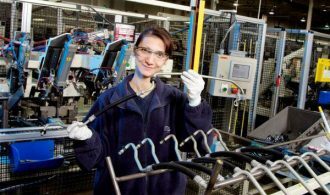 DTI supports customers worldwide and provide technical leadership for aluminium tubing for the whole DT Group. RACO Tube, aluminum AL3103 tubing from 6x1 to 32x2mm extruded aluminum tubes, superior corrosion resistant that exceed class standard. High ductile material and shine surface. 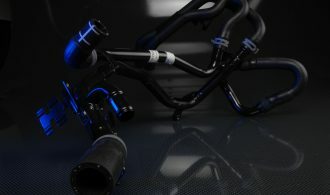 HVAC tubing, condenser, evaporator & heather coolant and refrigerant lines. 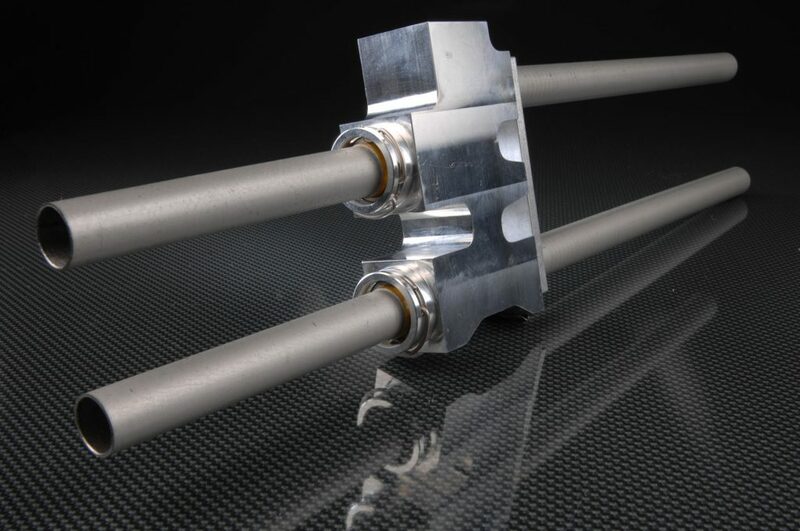 Aluminum formed, brazed & plastic co-molded solutions. 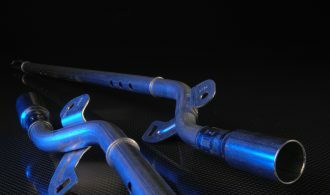 Power Train – aluminum coolant tubes for engine mounted and body assembled parts; brazed, formed and hose assembled products. DTI mission is the continuous improvement in products, processes and technologies for the automotive fluid handling products. 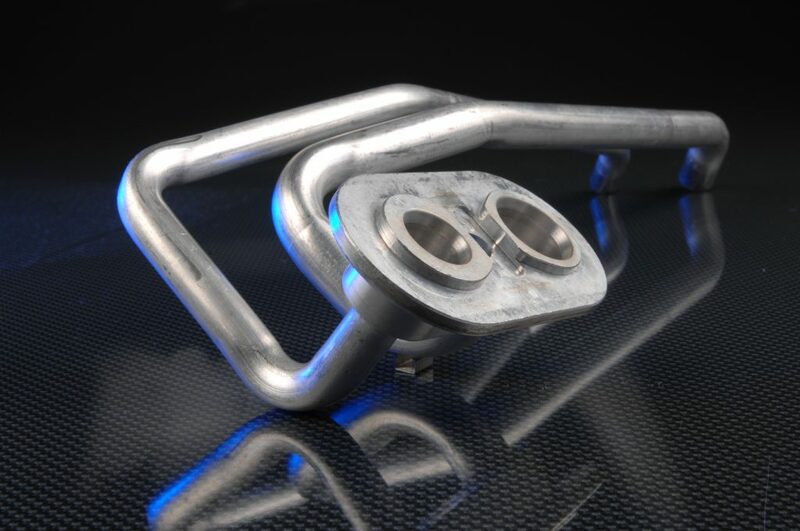 Our core competence is based on aluminum management, we extrude our own tubing and we manage our own block machining. 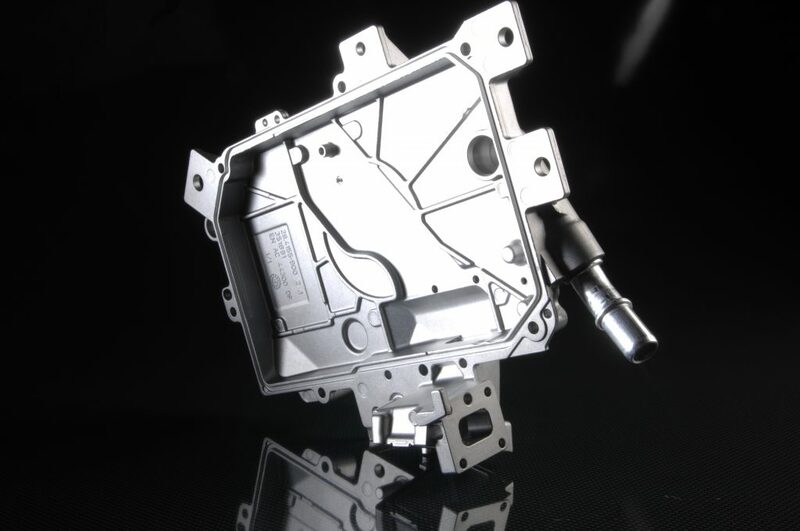 All transformation processes are design and developed in house, plastic molding completes are key knowledge. We apply leading edge technologies to guarantee products performances and competiveness. The Aluminum 3103 RACO Tubo is recognized as best performer tube for mechanical and corrosion resistance in its product class. 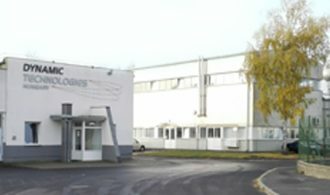 DTI tooling center apply most modern technique for device and automatization development and supply state of the arts technologies to all DT Group. Dynamic Technologies Hungary is DT Group biggest plant in Europe. 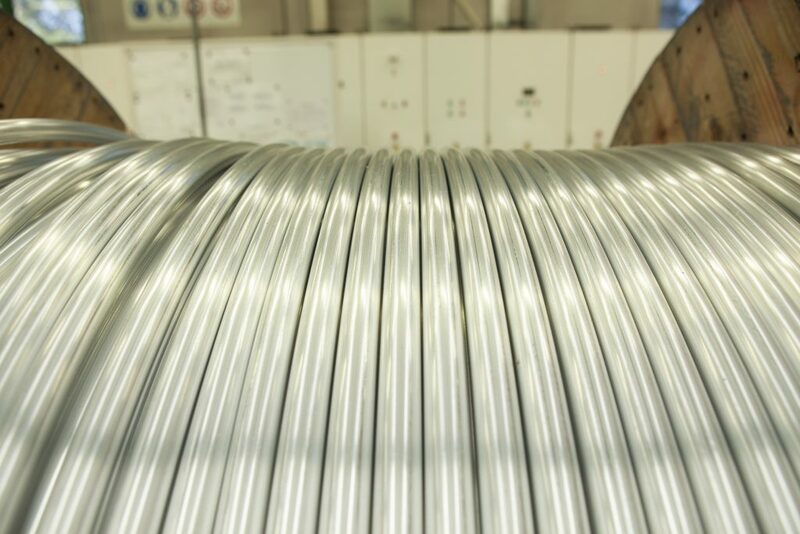 We manufacture HVAC & PT aluminum tubes for major OE & Tier1. 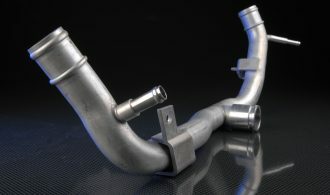 Automotive Tubing – spigot for heat exchangers, radiator lines, aluminum cold formed solutions. 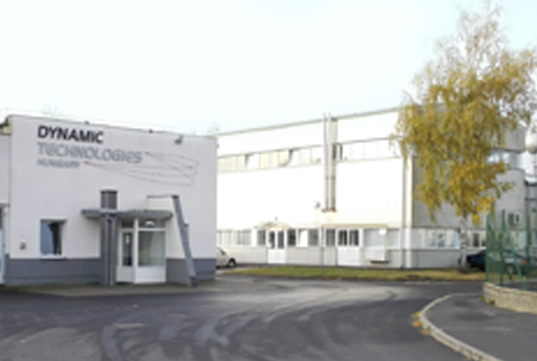 DT Hungary is our main base for the production of high volumes HVAC and thermal coolant line for power train and body assembled parts. 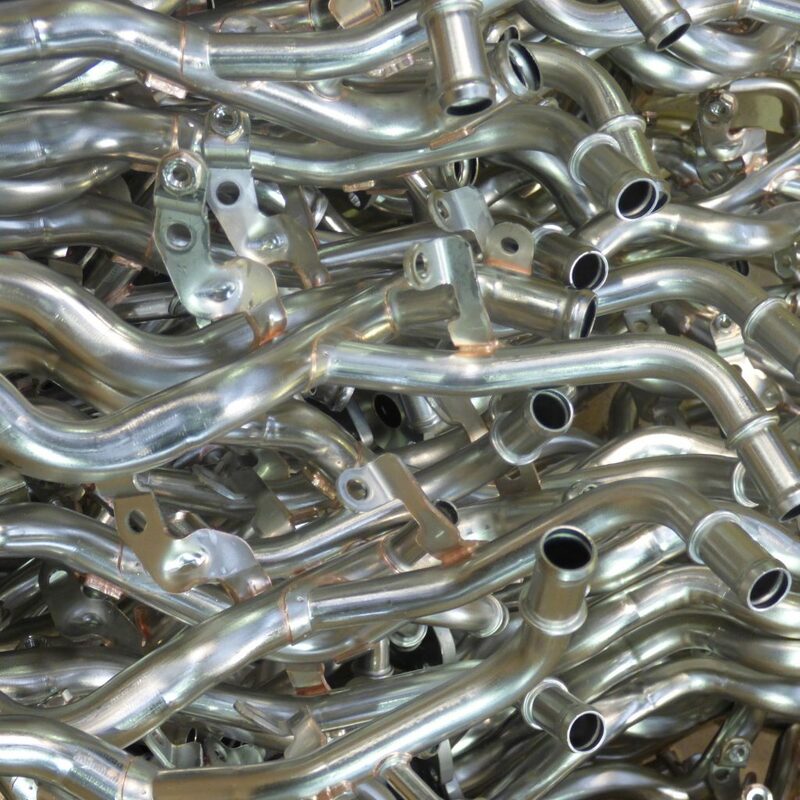 The plant has full capacity to manage tube cutting, washing, brazing, end-forming and assembly. 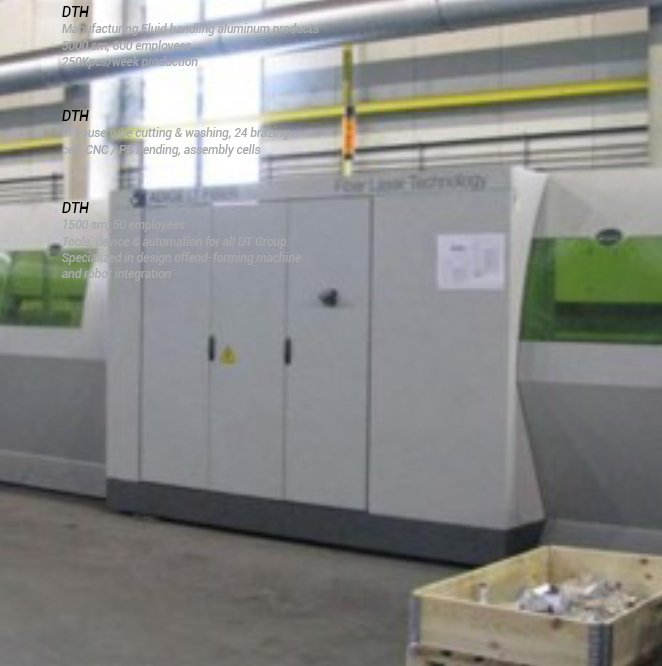 Multiple molding machines for fittings and bracket molding. 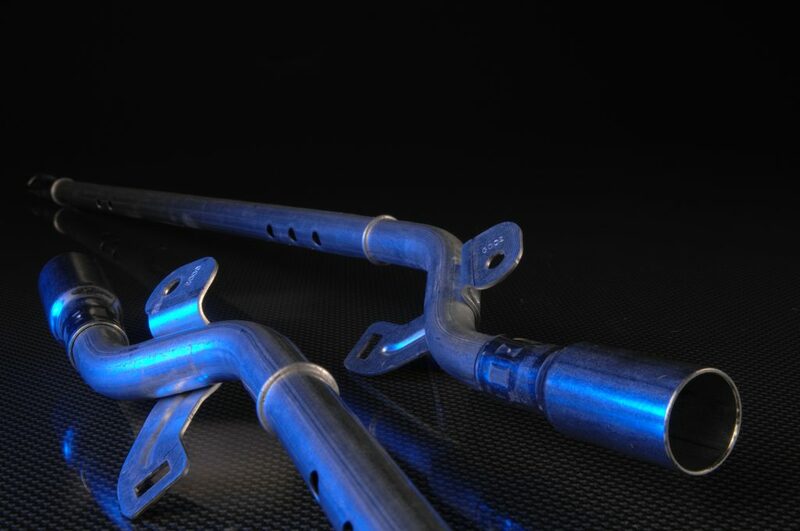 Our key products are aluminum tubes with brazed and/or plastic molded components. DTH is our logistic hub for TOC line distribution for the EU market and future base for manufacturing of this important company commodity. 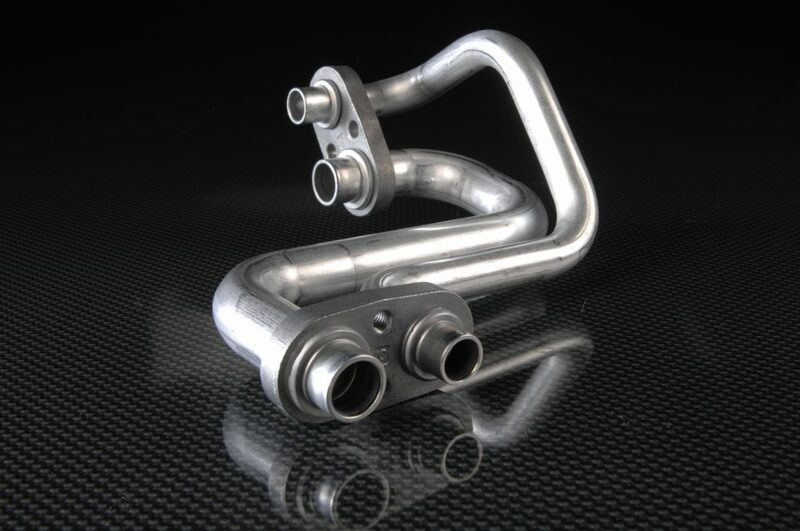 Dynamic Technologies Poland manufacture stainless and carbon steel tubes for power train, exhaust system and safety system DTP is the base for DT Group Engineering competence center for the power train tubing application. 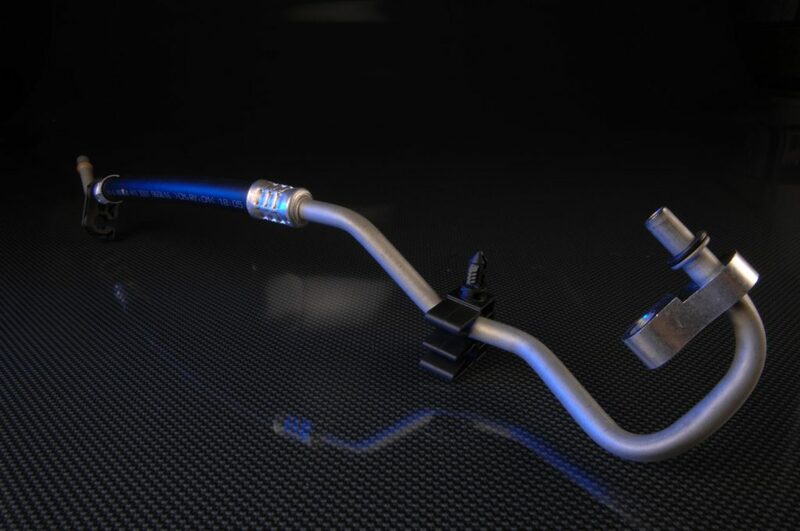 PT tubing – stainless application with assembled hoses and componets. 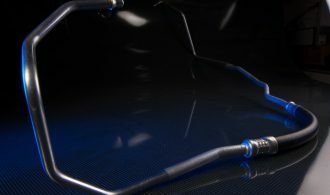 PT tubing – corrugated stainless steel tubing for oil drain & EGR. 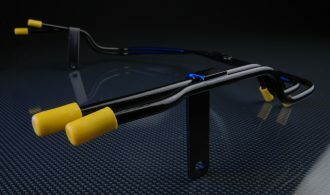 PT tubing – coated & painted steel tubing with hoses, sensors & bracketing system. 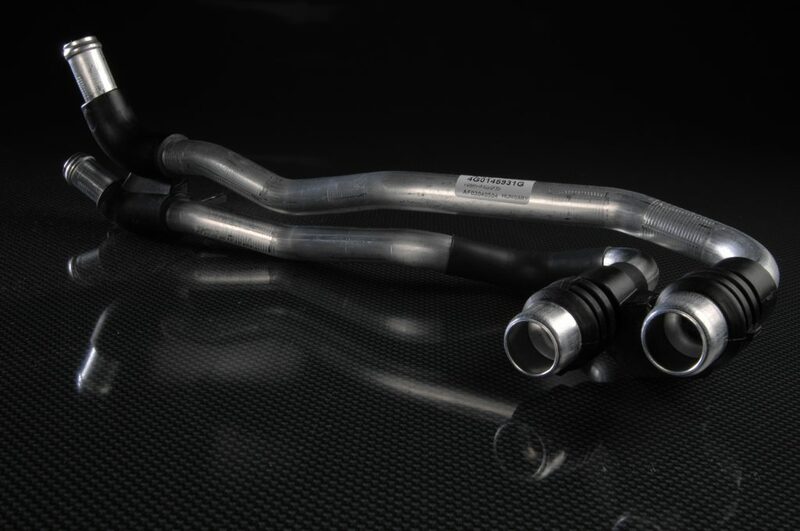 Automotive Tubing – carbon steel and stainless steel tubes for safety application for air bag and safety belts, exhaust system, sensor and oil management. 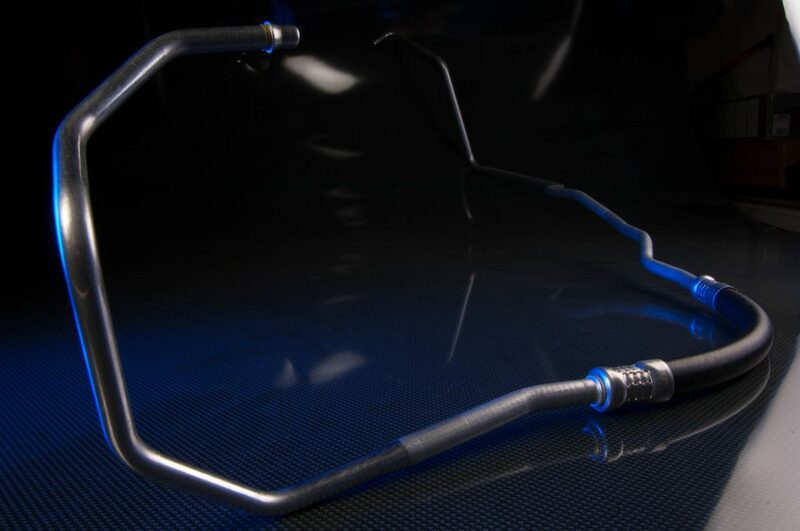 DTP is highly specialized in the management of steel and stainless steel tubing. 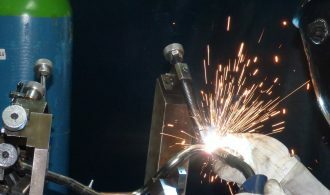 We have a strong competence in metal brazing and welding with 4 brazing ovens and several robot & manual welding stations. 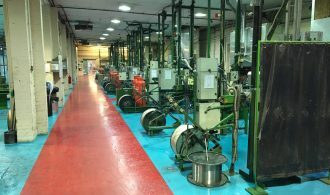 DTP manages plain and corrugated tubes, high precision safety tubes and assembled line for thermal coolant & lubrication lines. 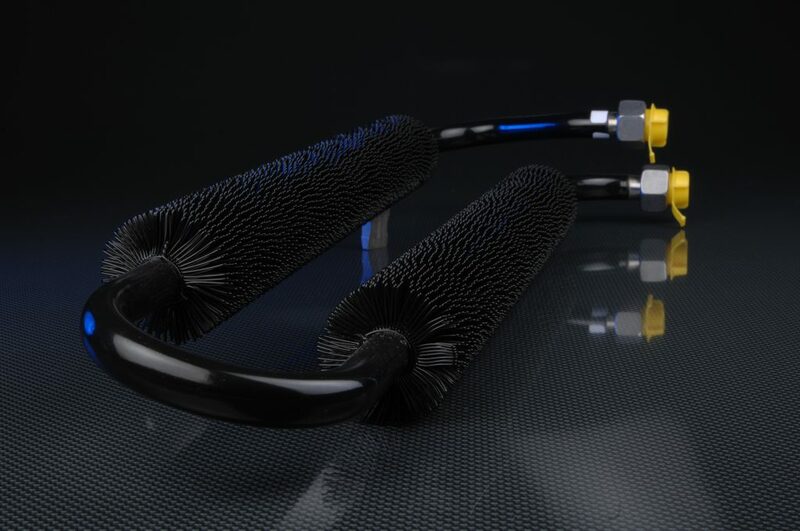 Completes our knowledge the management of crimped ptfe hoses and their forming process. DTP team is active in product design and development with all our customer and supports product development for steel tubing PT part fro all DTG companies. Dynamic Technologies China manufacture stainless steel, carbon steel and aluminum tubes for power train, exhaust system and safety system. 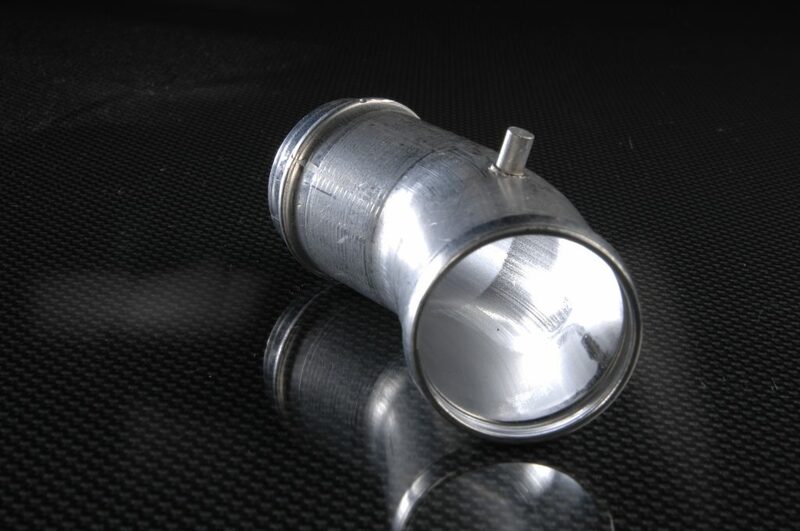 DTC manufacture a large amount of aluminum tubes for HVAC application. 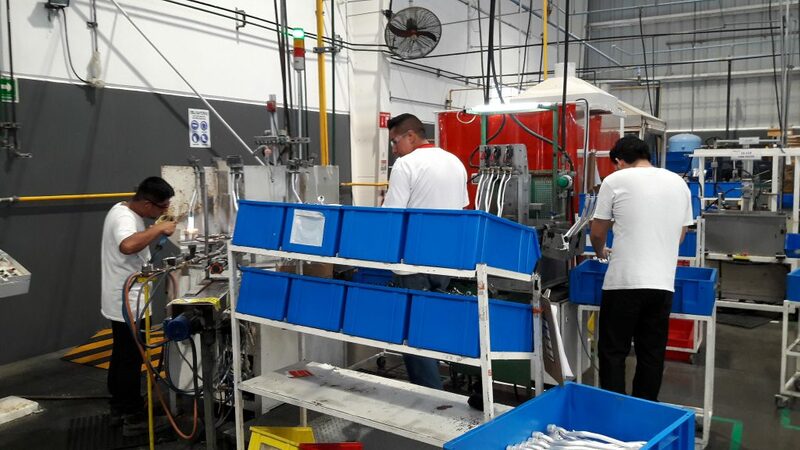 Product development and project management is present on site.”ic Technologies China manufacture stainless and carbon steel tubes for power train, exhaust system and safety system DTC manufacture stainless steel tubing for its own application. Power train world class manufacturing plant. 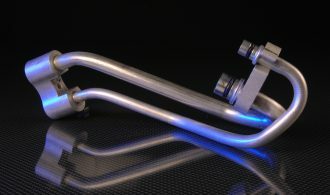 HVAC tubing – aluminum tubing with cold forming, brazing and co-molded solutions. 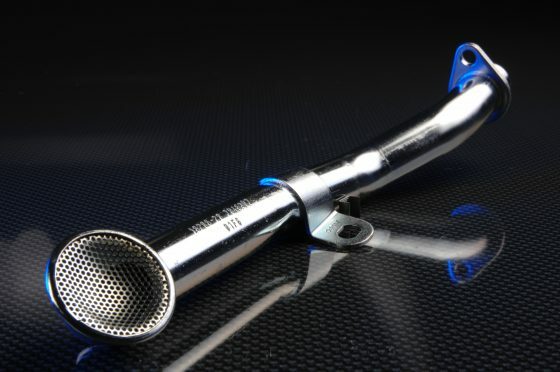 Automotive Tubing – aluminum, carbon steel and stainless steel tubes for safety application for air bag and safety belts, exhaust system, sensor, spigot and oil management. 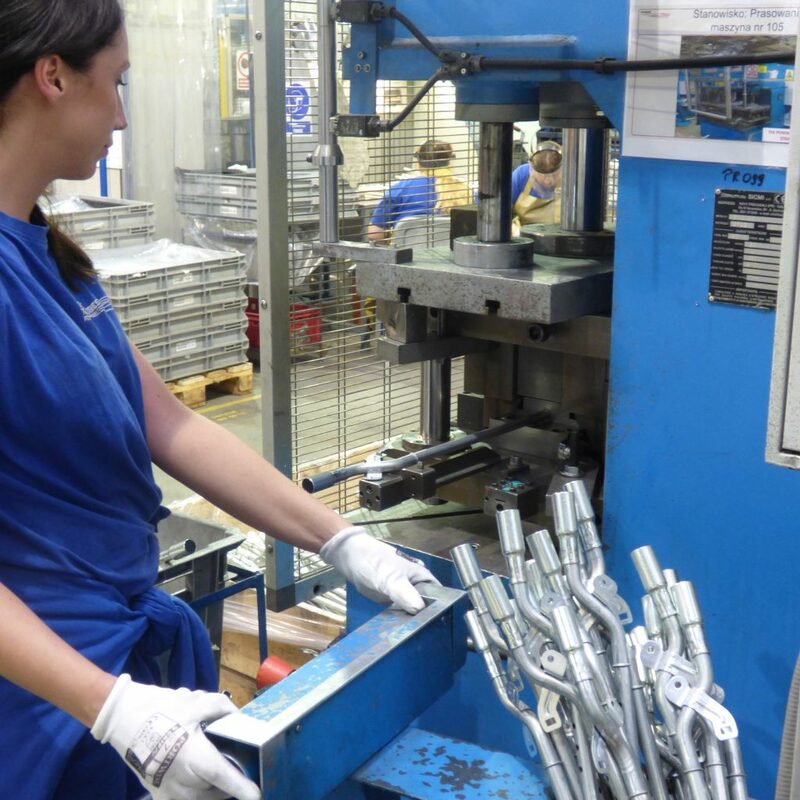 DTC is highly specialized in the management of aluminum tubing, steel and stainless steel tubing. 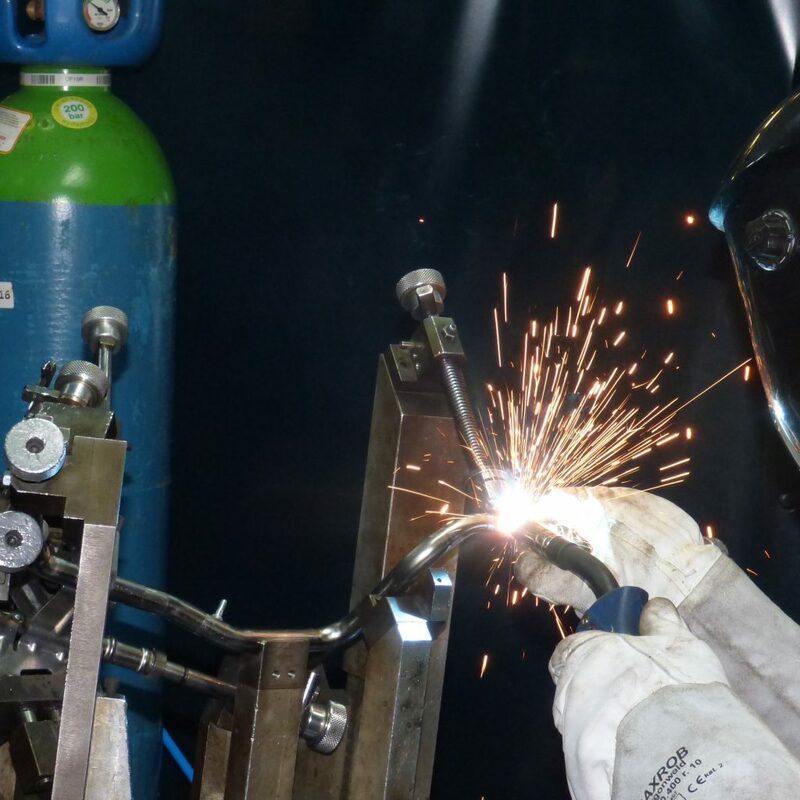 We have a strong competence in metal brazing and welding with 3 brazing ovens and several robot & manual welding stations. 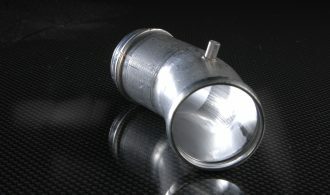 DTC is a major produce of HVAC tubes sold to major Tier1 worldwide. 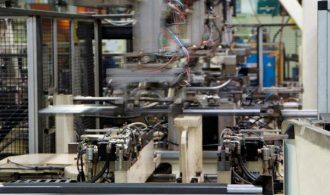 DTC manages plain and corrugated tubes, high precision safety tubes and assembled line for thermal coolant & lubrication lines. All DT Group products and technologies for Fluid Handling are present in DTC: TOC/ECO/HVAC/PT/Heat Exchanger & Automotive Tubing. 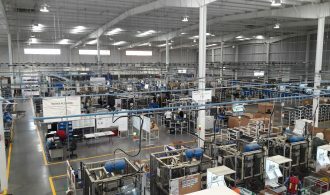 The new OE power train plant has been launched in 2015 and a full management structure have been created to better support customers. 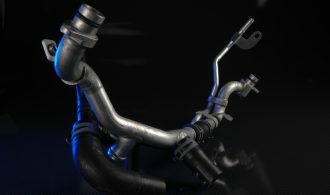 HVAC Tubing – rear coolant lines – aluminum & rubber hoses crimped. 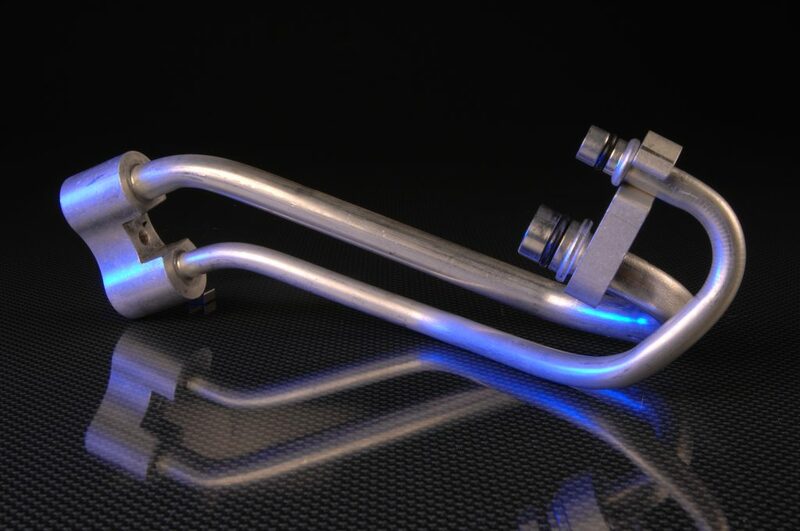 HVAC Tubing – evaporator bundle, formed & brazed aluminum tubing. 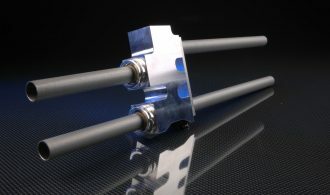 TOC tubing – new coming aluminum TOC with crimped hoses. 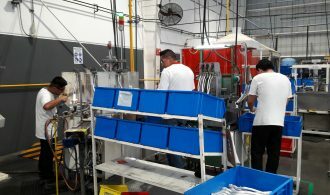 Bend All Mexico is specialized for aluminum tubing management. 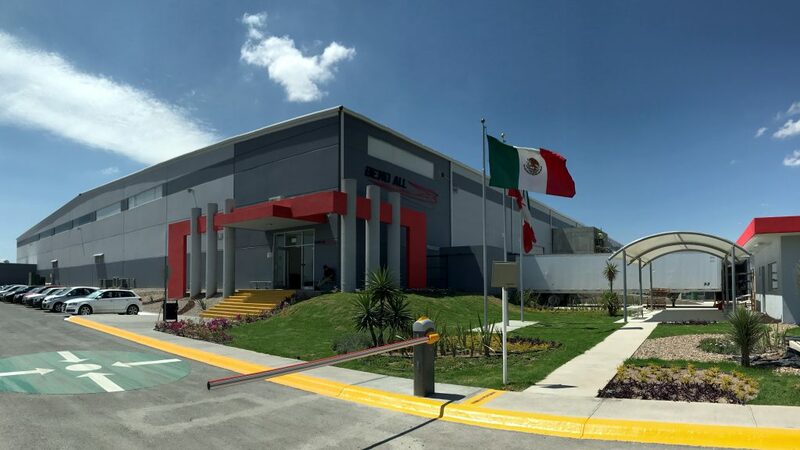 Bend All Mexico integrate and benefit from tools & equipment developed in Bend All Canada and Dynamic Technologies Italy to guarantee to our customer our best technology. SHE has such a wide and proven experience of cooling applications, it is able to apply it’s design and production capabilities to a range of surfaces, materials and structures unparalleled within the industry. 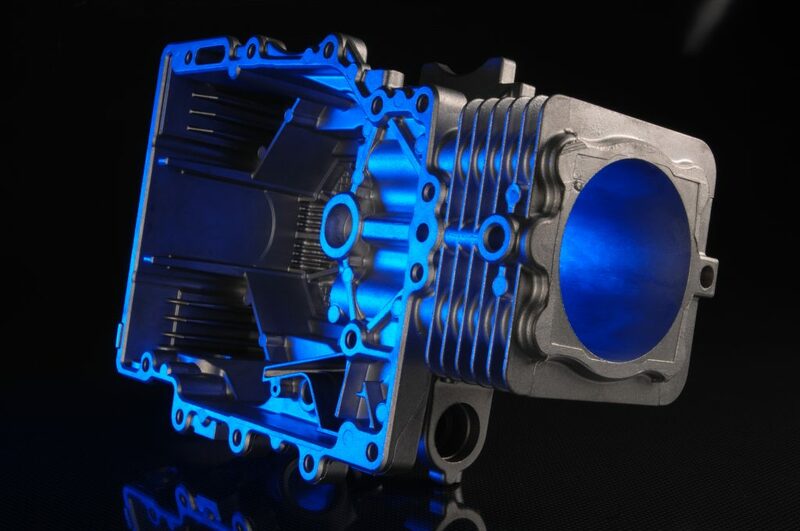 Heat Exchanger Automotive – heavy duty on-road application: stainless steel, copper wire, coated and painted. 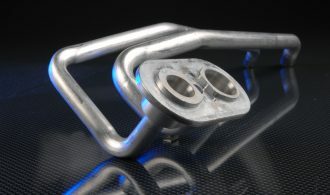 Heat Exchanger Automotive – passenger: aluminum tubing and wire, anodic coating. 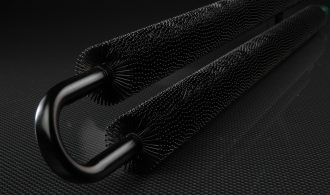 A wide range of fin geometry is possible with fin heights of up to 22mm along with fin pitches of up to 622 per metre to maximise performance in varying. All industrial exchangers are manufactured in-house to ensure quality and performance is maintained. SHE are familiar with the requirements of the world's major oil and gas companies. 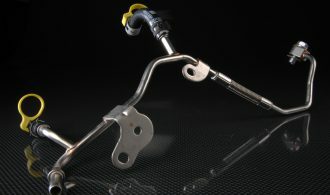 SHE designs and manufactures in accordance with API 661 and currently hold the ASME "U" stamp. 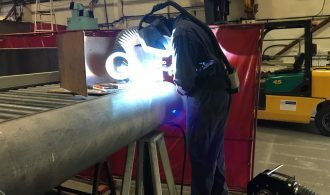 Specialist Heat Exchangers Ltd. (SHE), established over 40 years, is widely recognised for it’s ability and track record in developing heat transfer solutions for a diverse range of industrial applications. 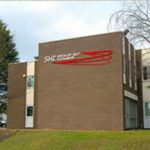 Proven cooling solutions provided by SHE are in operation in all corners of the World, and in such diverse sectors as automotive components, power stations, process plants, compressors, off-road vehicles, military and rail transportation and hydraulic applications. 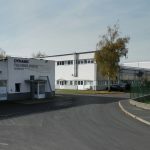 SHE has a sister company, Tube Fins Ltd., based in Tamworth, U.K., which specialises in ribbon and wire wound tube manufacture, for sale both to SHE and to third parties. 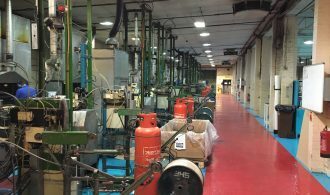 Using our bespoke “Dynamic Thermal Management Model” embedded with our “Dynamic Cost Model” we can offer immediate real time technical and cost solutions to our customers. 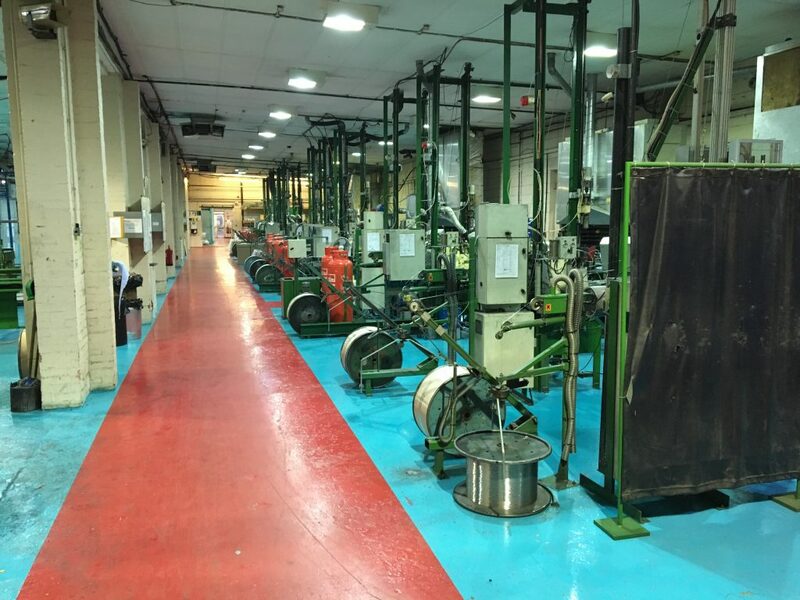 Not only do we offer the best product but we also develop and make our own manufacturing systems, ensuring a seamless concept to production process. 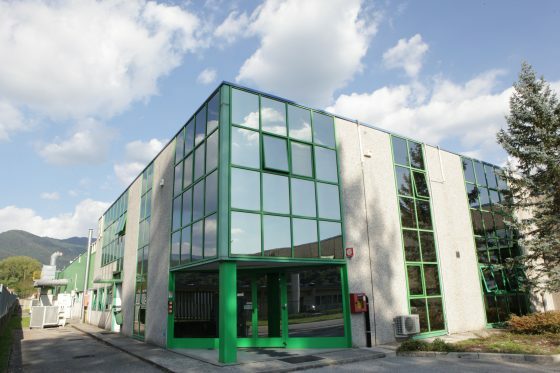 Friulpress-Samp SpA is a leading manufacturer of die-cast aluminium and zinc components in Italy. 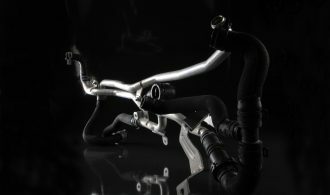 Product range from 0,005 to 20Kg parts. 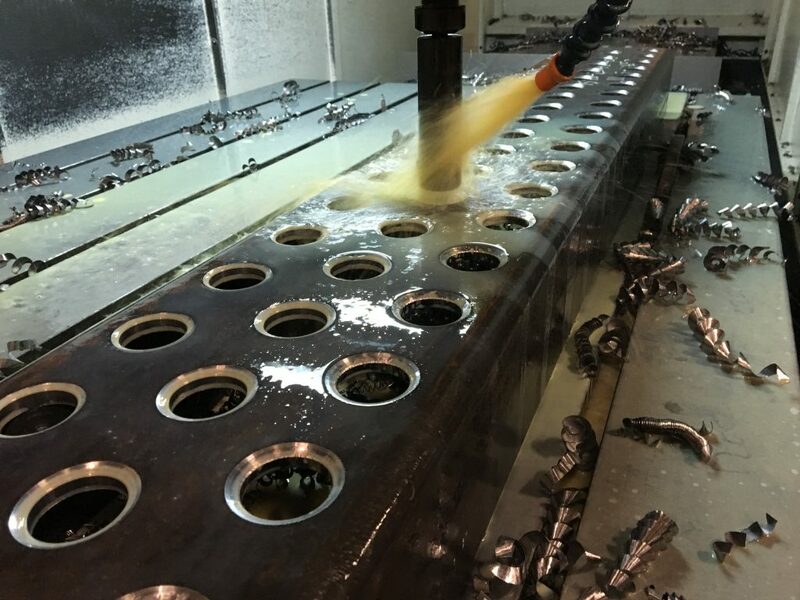 Machining and assembling processes completes our product development. 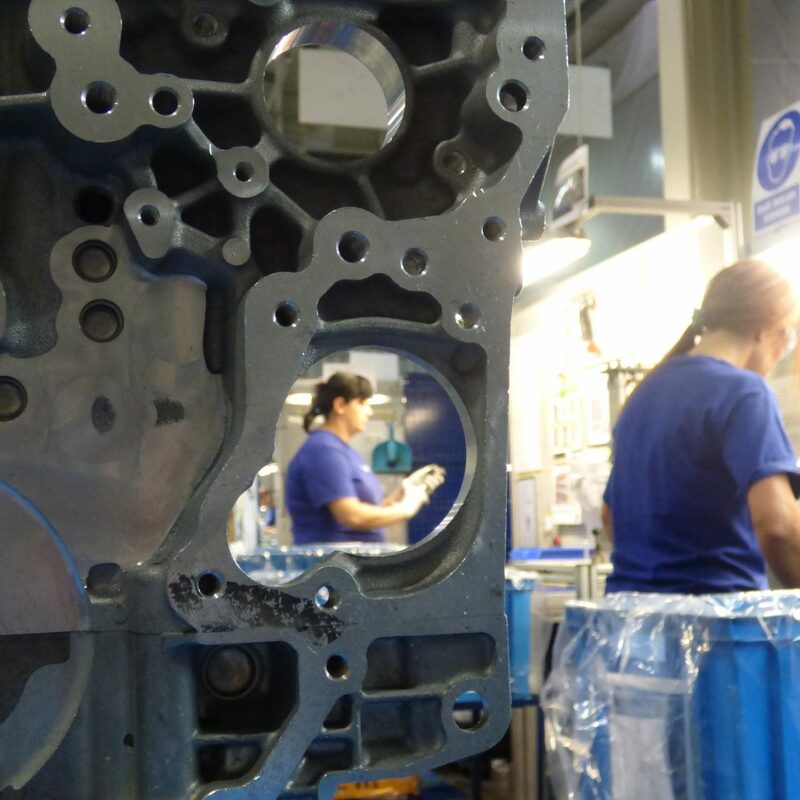 With over 30 years of company history and the high level of quality expected of our products and processes, we have established ourselves as a high-performance partner to the automotive & industrial business. 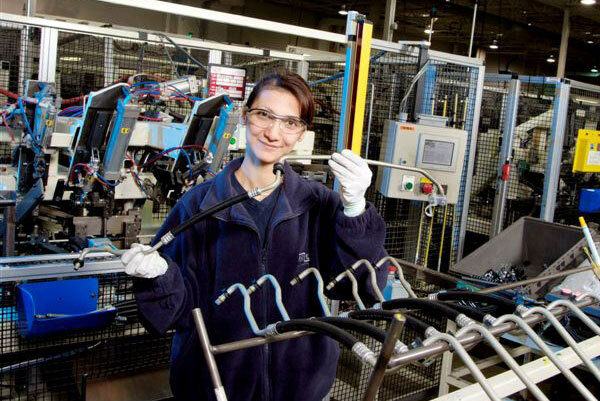 Our largest potential is the commitment and open-minded approach to innovation of our employees. 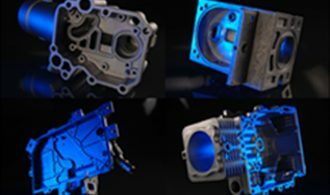 We design, develop and produce several different products ranging from automotive power train elements to electronic devices and hydraulic elements. 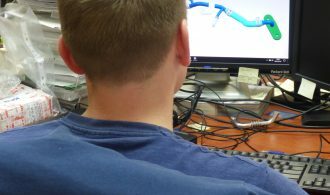 Our technical office manage fully integrated CAD/CAM technologies based on common industry software and it’s able to virtual design product, tools and processes. With the aim of combining high quality with maximum cost efficiency, we use them to continuously improve internal and external processes. 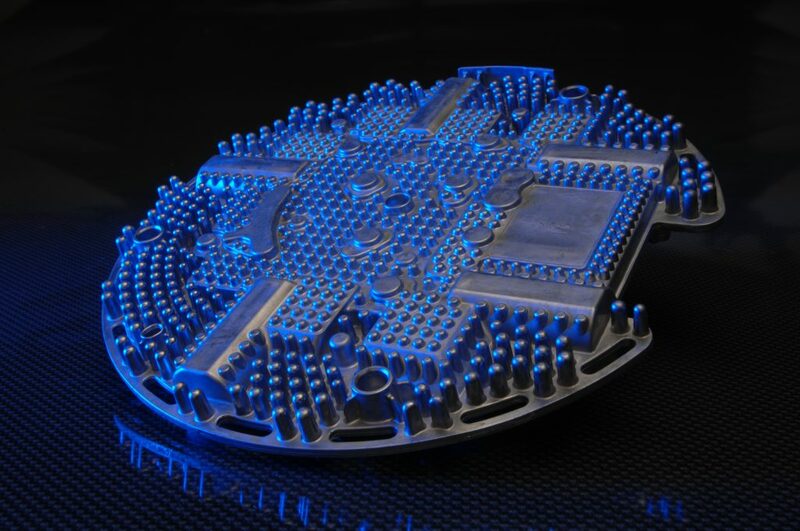 Performance and reliability testing are fundamental in our product developments. Project Management is the basic instrument to follows all customer programs, all our location have project team and global customers are managed trough corporate coordination. 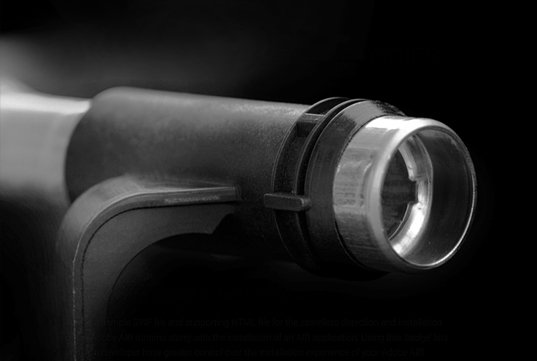 All our products are developed, manufactured and tested in our laboratories. 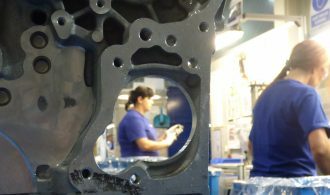 We have 5 main Engineering Competence Centre and three local Engineering Offices. 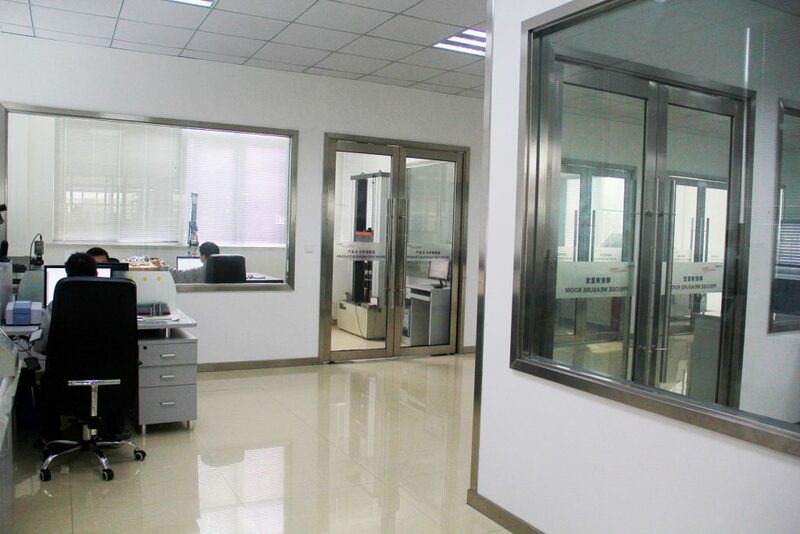 Every production facilities has its own technical and process engineering office. Cleanness test, particles sizing & counting. 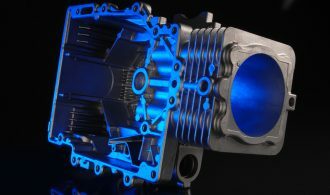 We operate several different CAD/CAE/CAM software for product and process development. 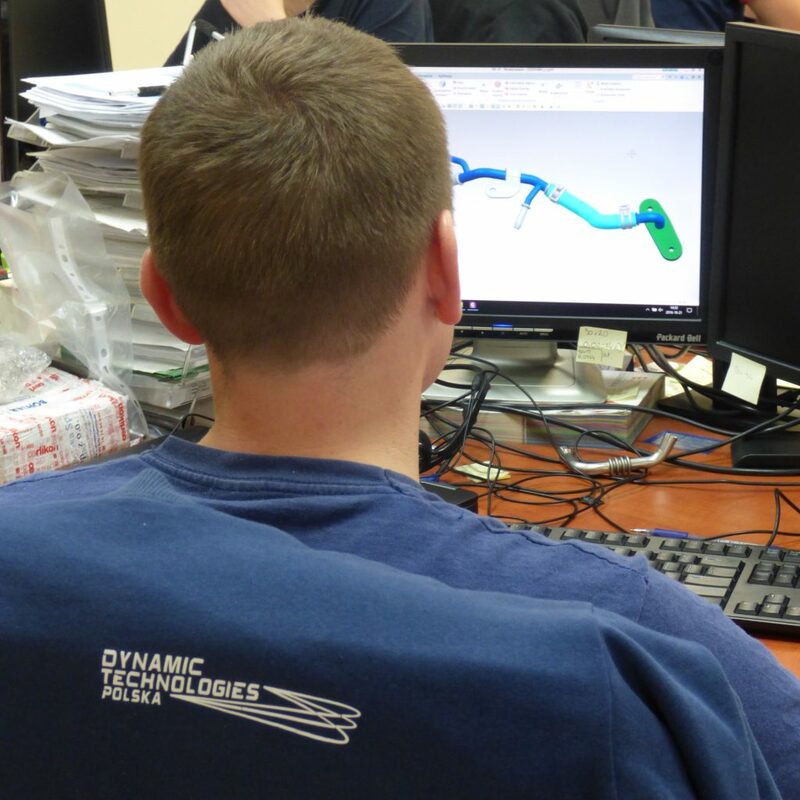 Our Technical Offices are linked to our major customer and we can perform DMU support as well as product and process simulation. Cyclical corrosion test with temperature profile. 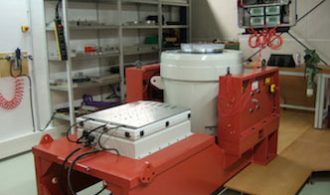 Vibration fatigue test on components & full assemblies. Product functional test: pressure & temperature cycling, reliability check. 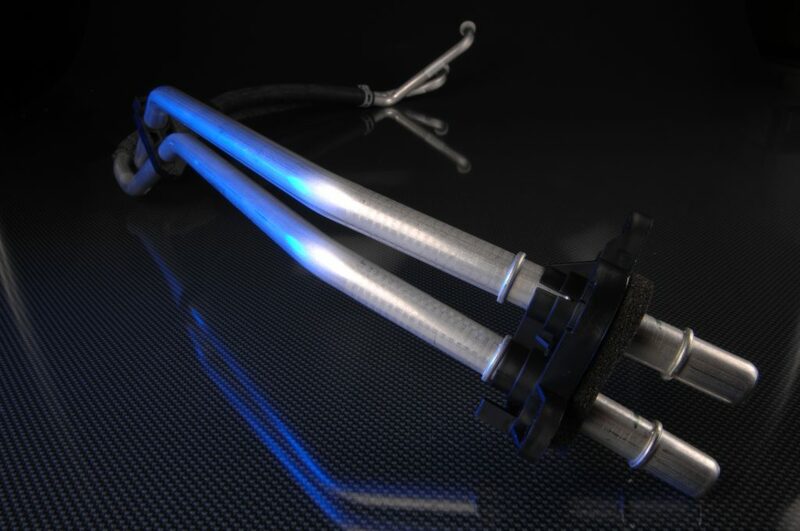 Specific software tools are used for casting and molding tools design. Interfaces with all major CAD software and data exchange system are available locally and at corporate offices. 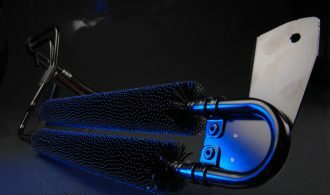 DTG has several resources worldwide involved into R&D, Product Development, Testing and Project Management. 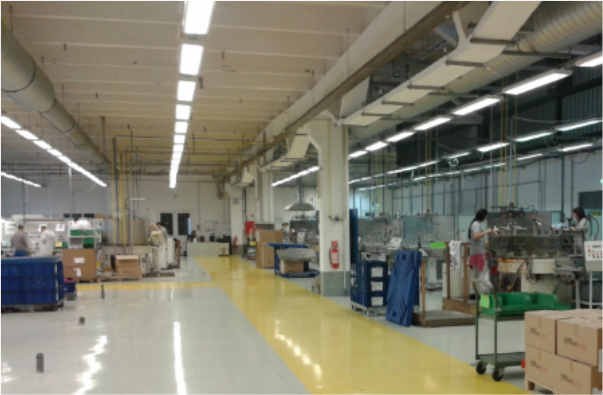 Each manufacturing location has its own Technical Office with all the necessary competence to manage local business. 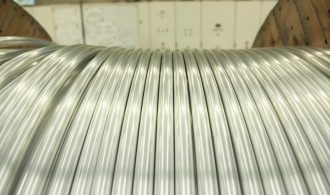 ECC – Bend All Canada: TOC/EOC lines, Power Train lines, hose crimped assemblies. 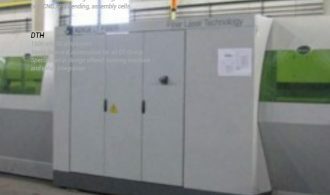 ECC – Dynamic Technologies Italy: HVAC lines, aluminum tubing, molding processes, block milling processes. 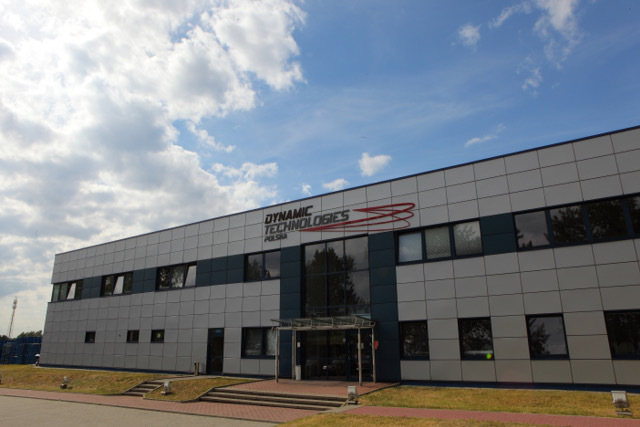 ECC – Dynamic Technologies Poland: Power Train lines, stainless steel solutions. 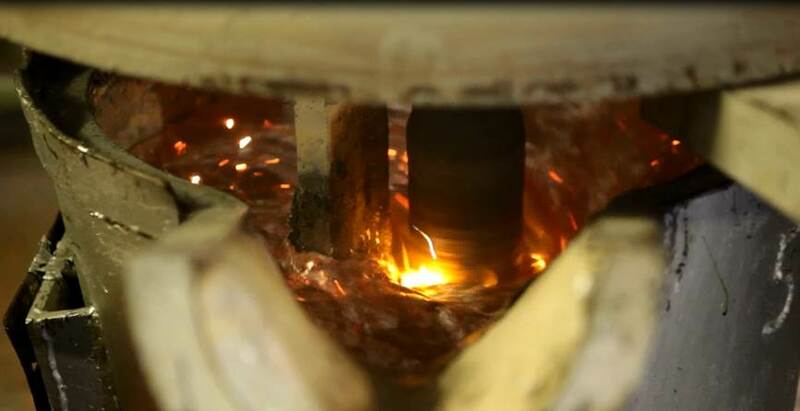 ECC – Friulpress: Casting, aluminum and zinc alloys. 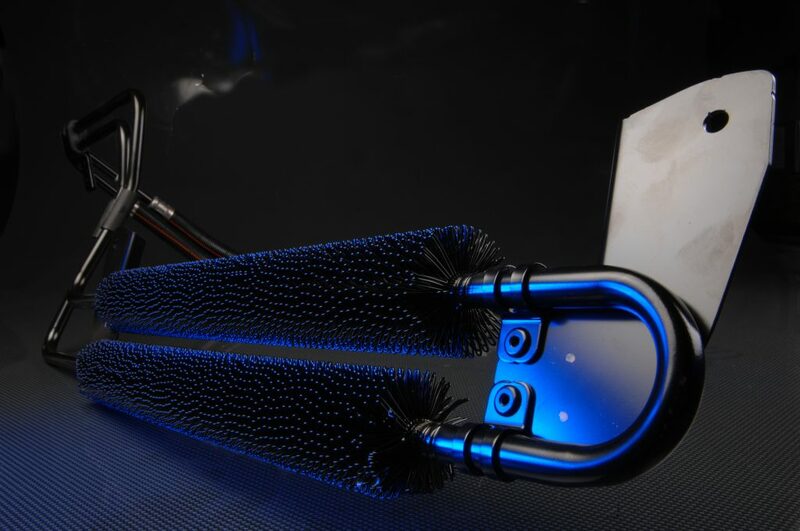 ECC – SHE: Heat exchangers, wire wound exchanger, automotive application. Project Management is an essential activity performed by our team to support all customer & integral programs. We apply a dual structure based on Program Managers/Project Engineer and Key Account, these team refers to company executive responsible that are part of company board of Directors. PK & KA Main Offices are located in Italy and Canada with resources available in China and Mexico. DTG considers the Technology & Process development a core competence and key factor to maintain competiveness in the business. 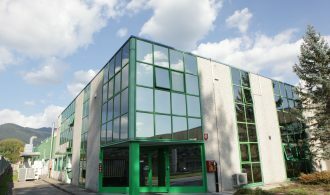 The company has two main location in Canada and Italy fully dedicated to process development, tools & machine design and development, automatization definition and deployments. 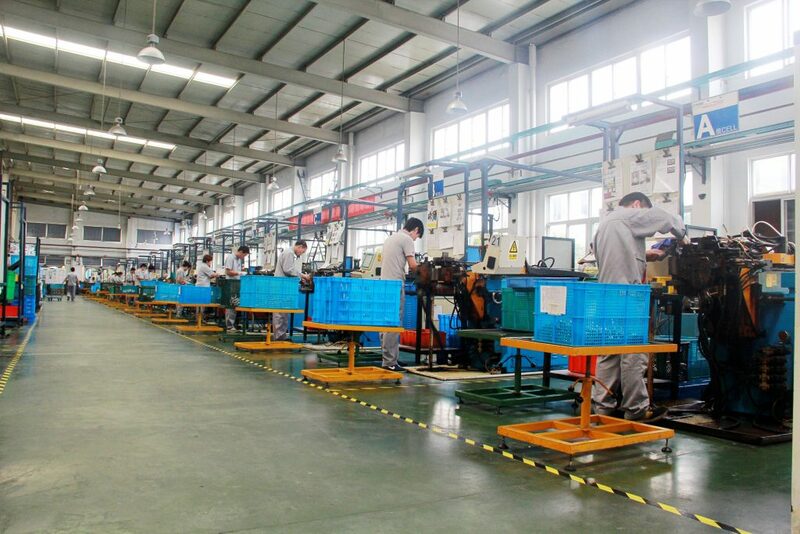 We develop in house our power benders, our forming machine and several integrated assembly processes. 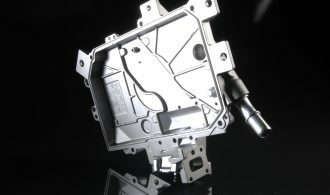 Complete our knowledge the design of mold, both plastic and casting, and robot cell managements. 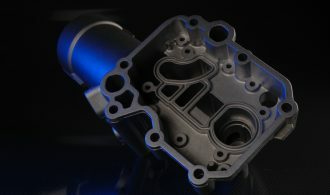 We apply modern CAD/CAM software and process simulation. Dynamic Technologies facilities are ISOTS 16949 and ISO 14001 certified. Quality commitment versus the customers is based on “zero defect” and “continuous improvement” strategies. Pro-active approach and cooperation with the customers are the keys to meet this target. DTG has collected several Quality Awards & Approvals. 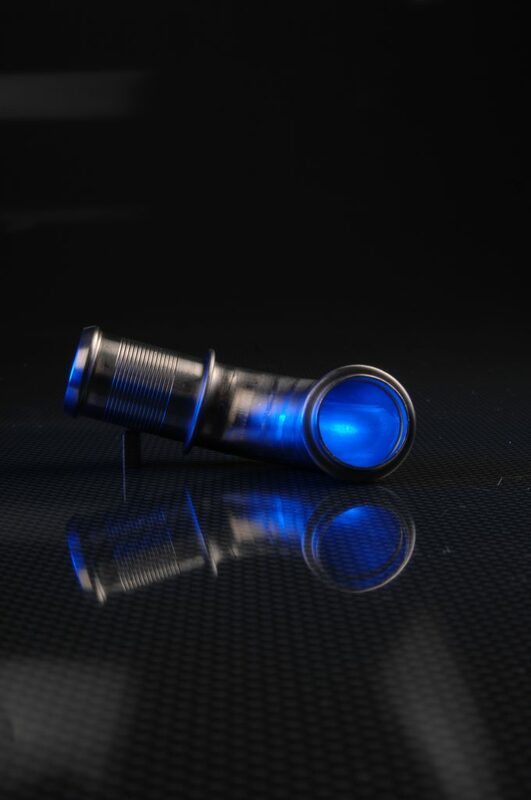 Our quality system has been designed and verified according to ISOTS, VDA and direct customer quality specifications. Every location has its own Quality Management team that includes Quality System, Quality Manufacturing and Supplier Quality engineers. Process development is one of our core competences. 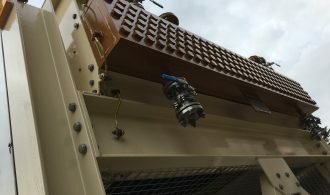 We have tow major tools manufacturing plants in Canada and Italy where we design and build our own machines and manage integration of systems. 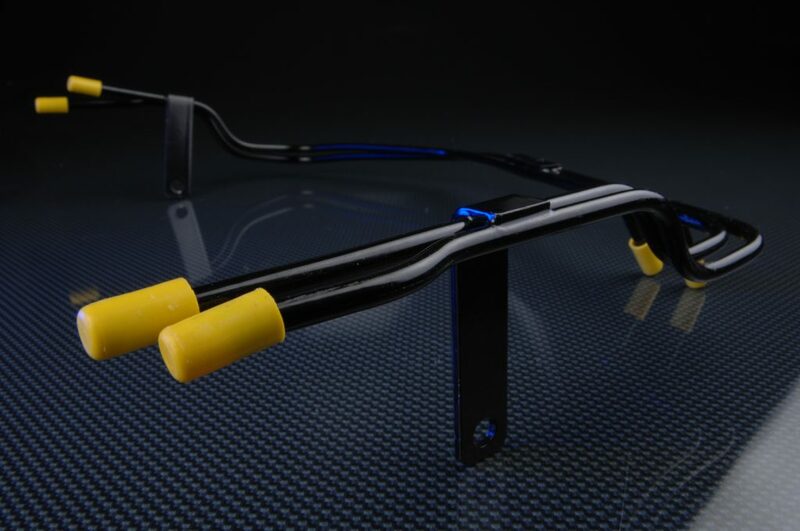 Molding tools and casting tools are as well design and maintained in house. 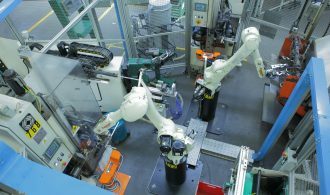 High automatization is applied to manage material injection, part management and dimensional control. Human contribute is minimized to secure repeatability of processes and quality. Special process are develop in our company. We do our own aluminum metal tubing in Italy and stainless steel in China. Manufacturing process being developed and verified in house. 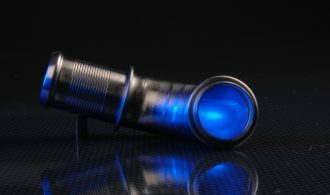 “DTG Raco” tube is well recognized as an excellent AL3013 tube. 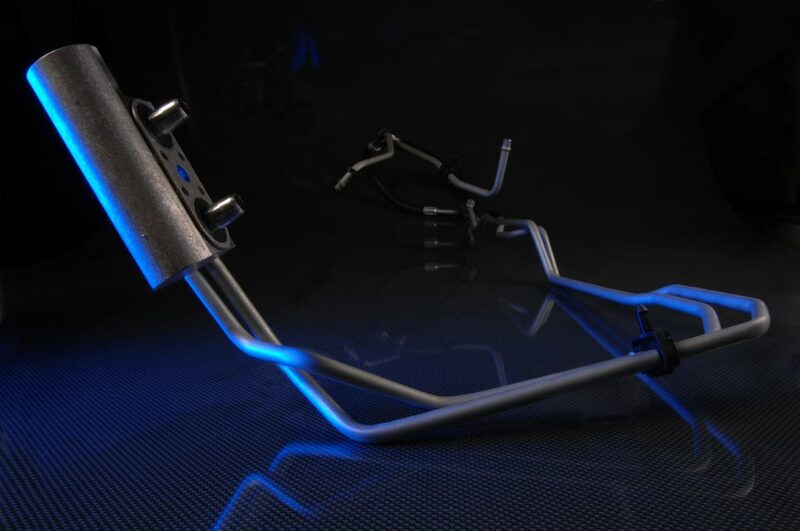 DTG strength is the in-house design & development of production devices, benders, formers and their automatization. 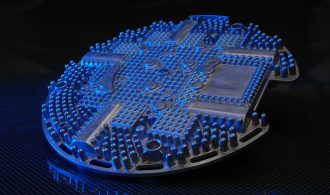 In the view of vertical process we have several application of internal development of first class milling & machining process. 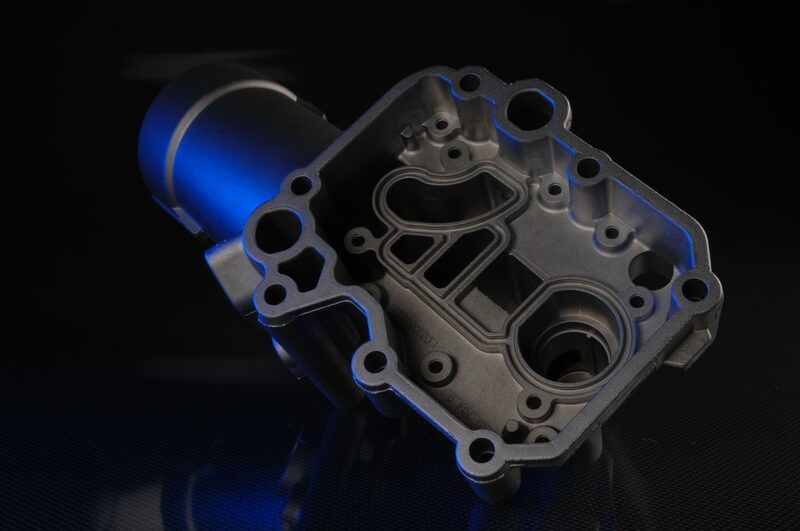 Our competence extend from operation to machine design to achieve high milling speed and high reliability & quality. DT Group is an ISOTS 16949 and ISO14001 approved company. Our processes includes all state of the art quality check technologies. Out plants get awarded with quality prize and several approval certificates. 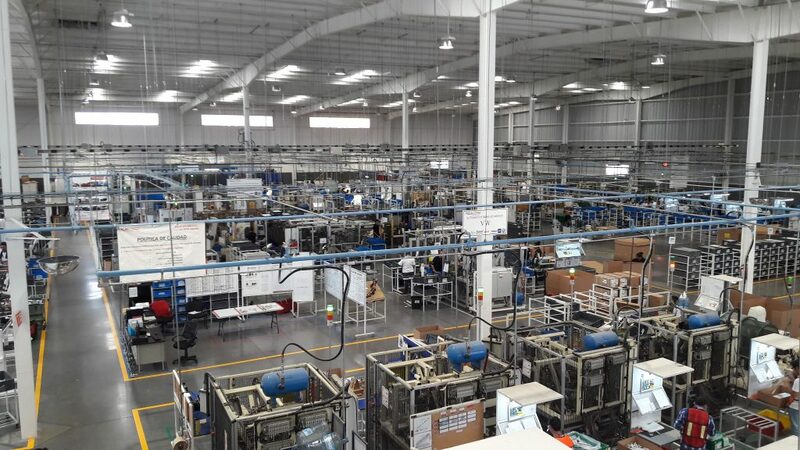 Quality Deployment on shop floor is one our quality & manufacturing pillars. 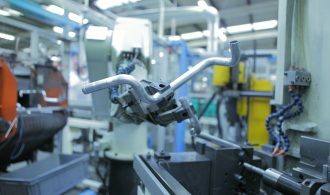 Robot handling is common in our manufacturing both for tubing and casting processes. 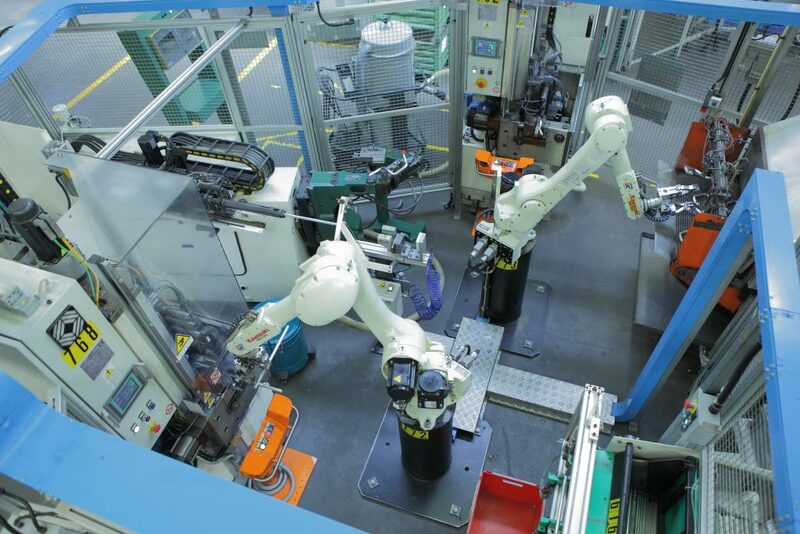 Integration of robots and assembly line automatization is develop by our internal process engineering departments. DTG apply state of the art quality management system with the largest involvement of our resources. 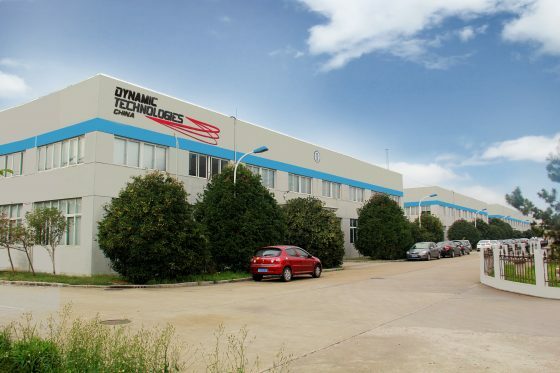 We are specialized in the automotive fluid handling business with development centers and manufacturing plants in Europe, North America and China. 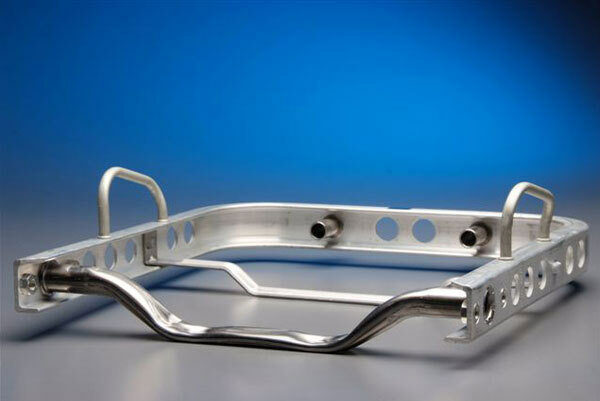 We include in our operation and expand our activities also to the industrial applications for thermal management and aluminum casting processes. 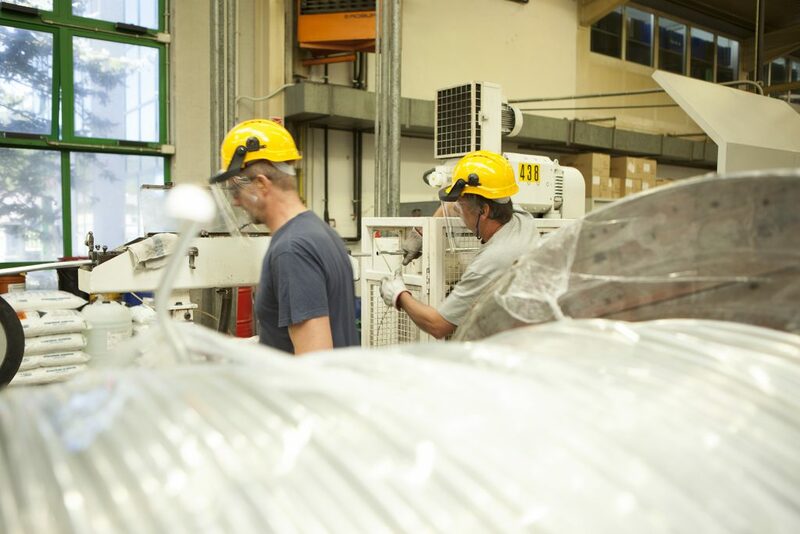 We constantly collaborate with our customers, both OEM and major Tier 1, to improve product performances, increase competiveness and develop innovations. 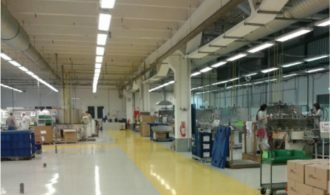 Our aim is to guarantee to our customer a trustful relationship, total quality and high professional competence in product development and manufacturing. Having passion in our job we strive to create added value in everything we do. The information on this site is the one as of the date of publication. Please note that the information is subject to change after the time of publication. If you visit the Company’s website repeatedly, a data package called a “cookie” will be stored in your computer and will provide you with a more convenient browsing experience. This communication is intended to inform all relevant parties about the fact that the Data Protection Officer, designated for all european plants and pursuant to art. 37 of the 2016/679 EU Regulation (“GDPR”) is Dr. Giancarlo Favero of Data Security (www.datasecurity.it), security division of Swisstech S.r.l. Pursuant to art. 38 paragraph 4 of the GDPR, interested parties can contact the Data Protection Officer without any formalities for all matters concerning the processing of their personal data and the exercise of their rights. Con la presente si comunica che il Responsabile della Protezione dei Dati per tutti gli stabilimenti europei, designato ai sensi dell’art. 37 del Regolamento UE 2016/679 (“GDPR”), è il Dott. 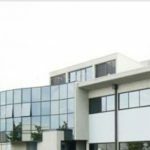 Giancarlo Favero di Data Security (www.datasecurity.it), divisione sicurezza di Swisstech S.r.l. Ai sensi dell’art. 38 comma 4 del GDPR gli interessati possono contattare senza formalità il Responsabile della Protezione dei Dati per tutte le questioni relative al trattamento dei loro dati personali e all’esercizio dei loro diritti.